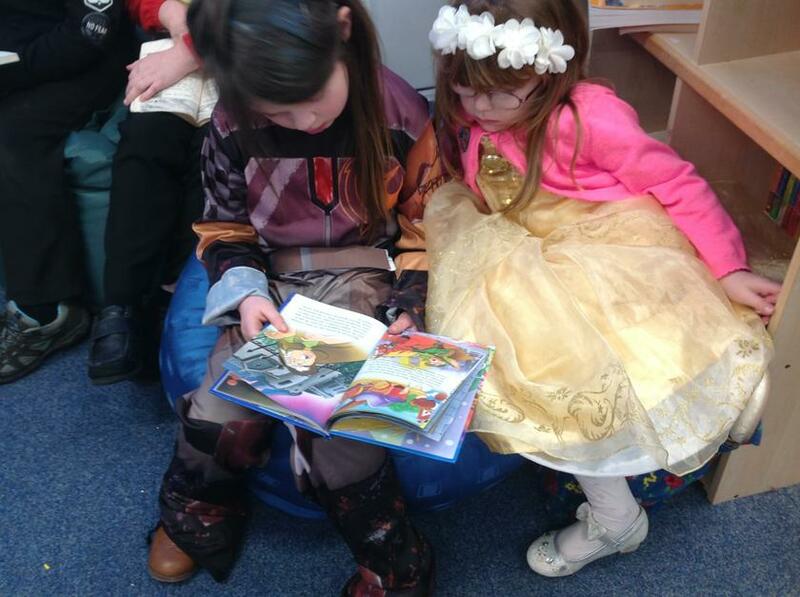 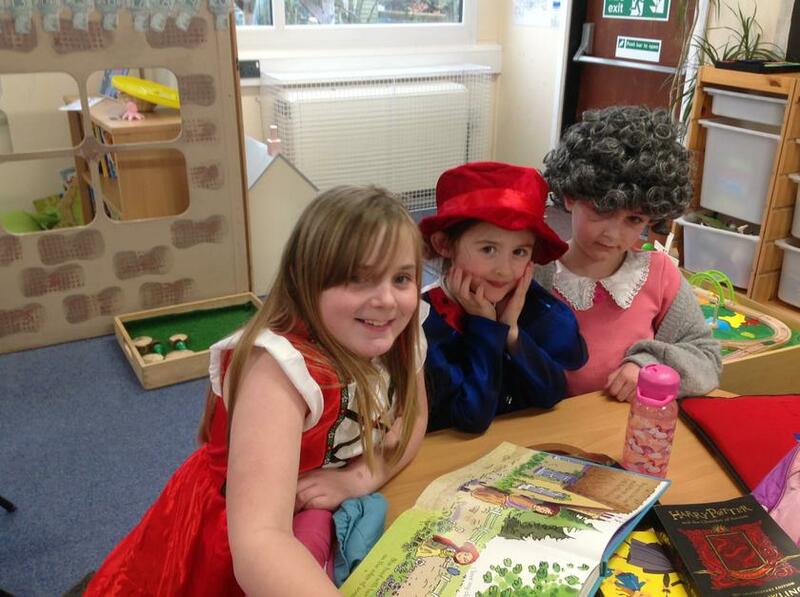 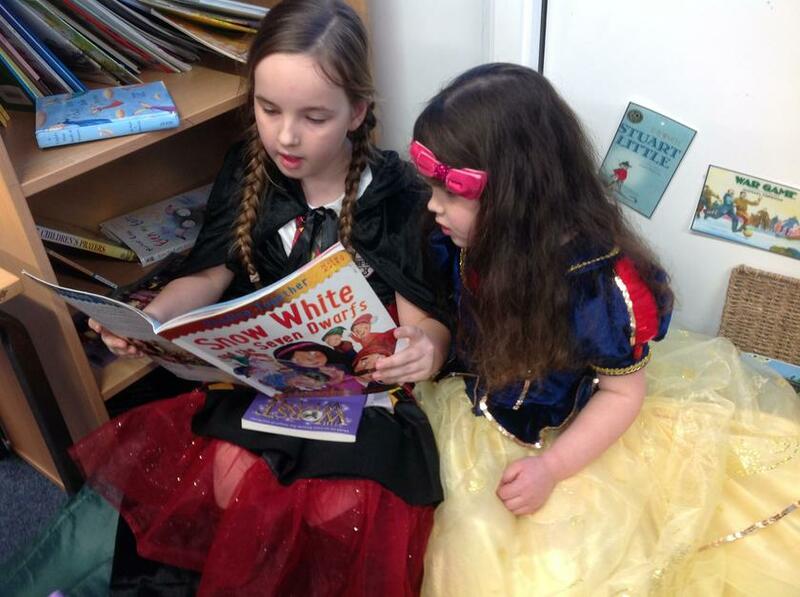 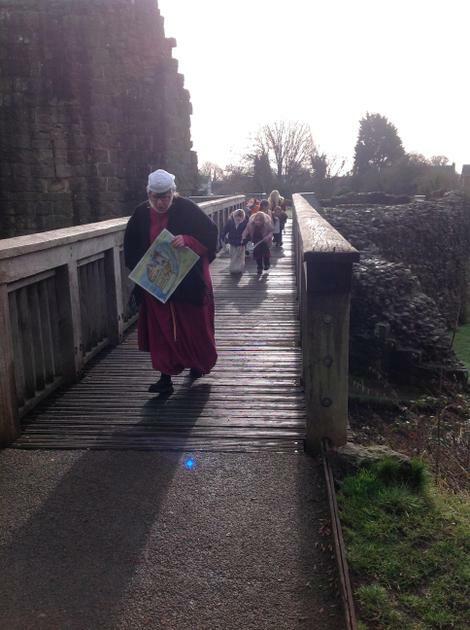 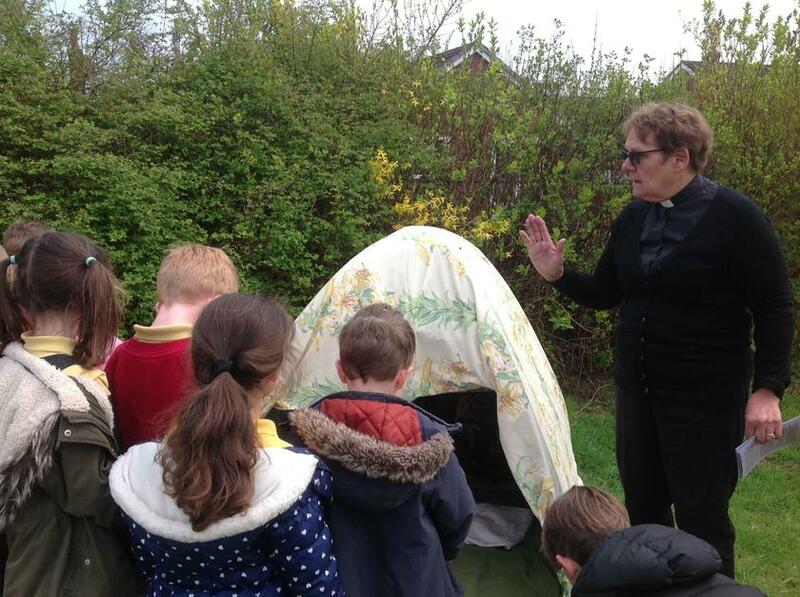 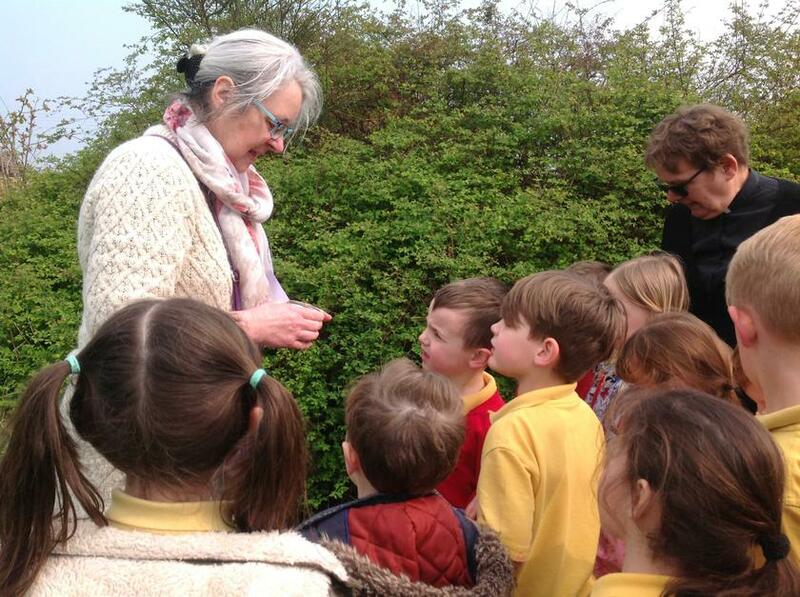 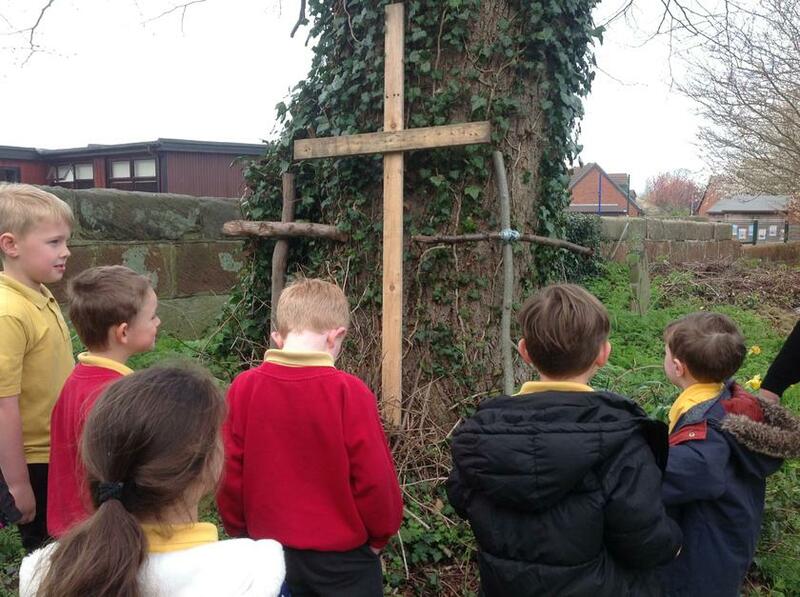 We had a lovely Easter story walk with Reverand Maureen and Mrs Thorald. 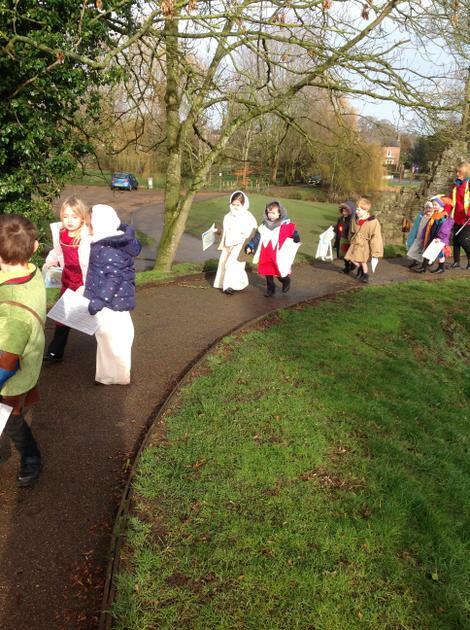 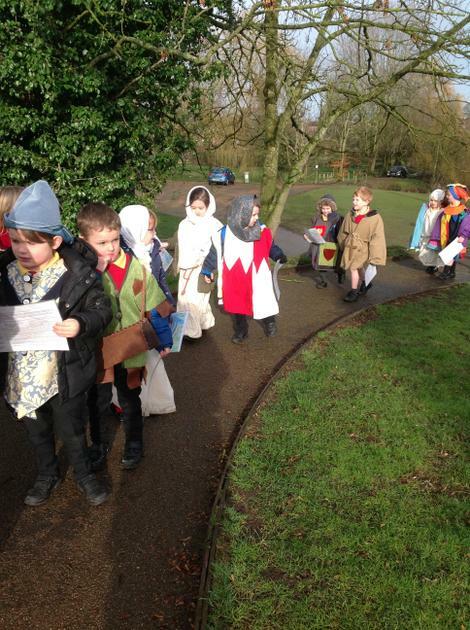 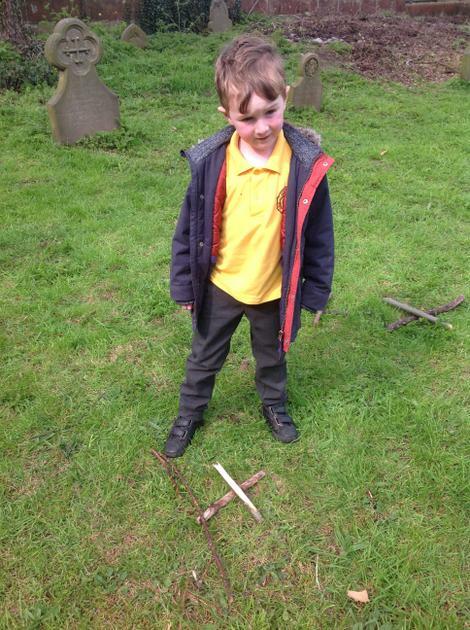 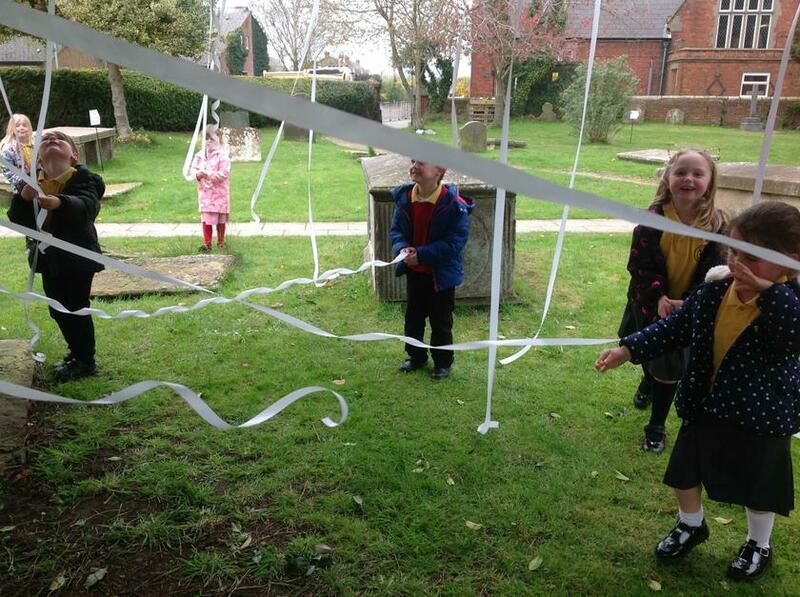 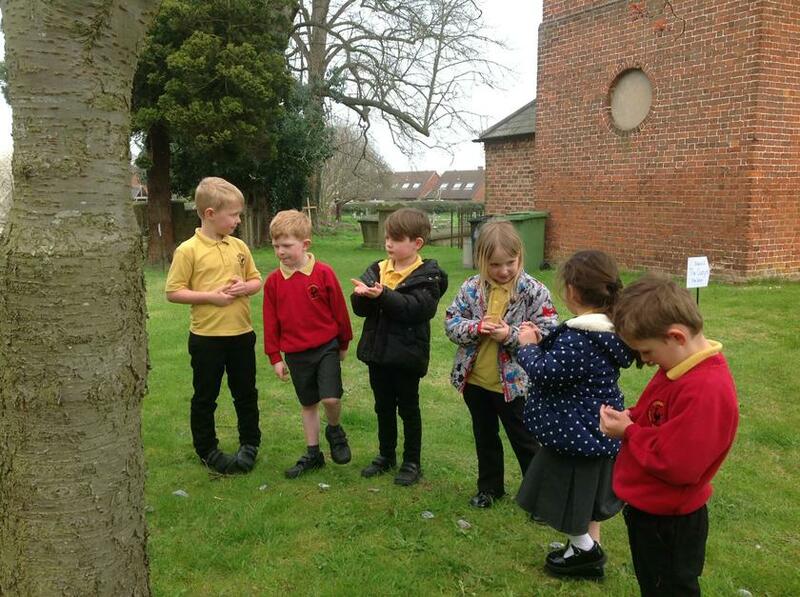 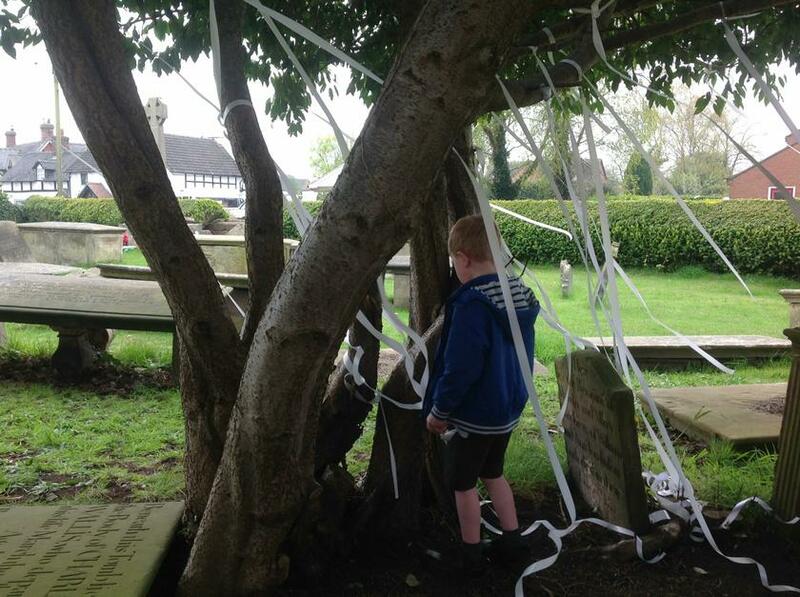 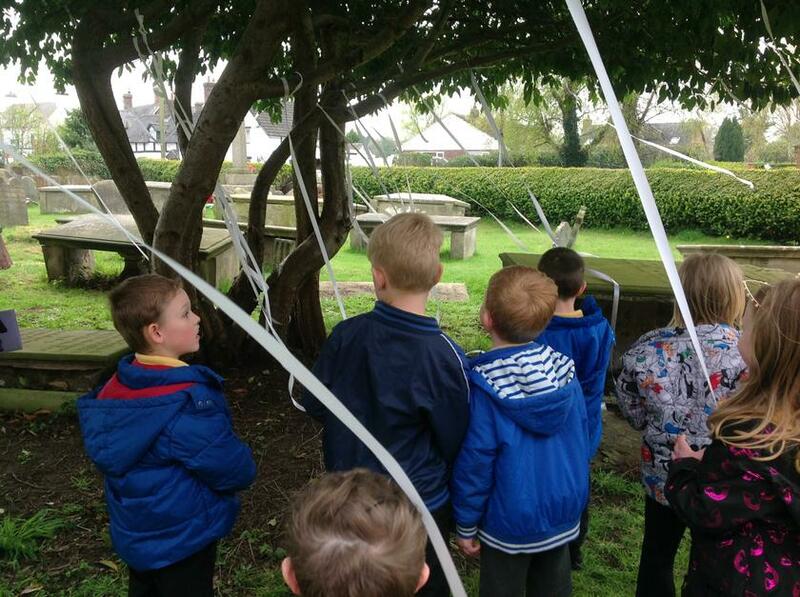 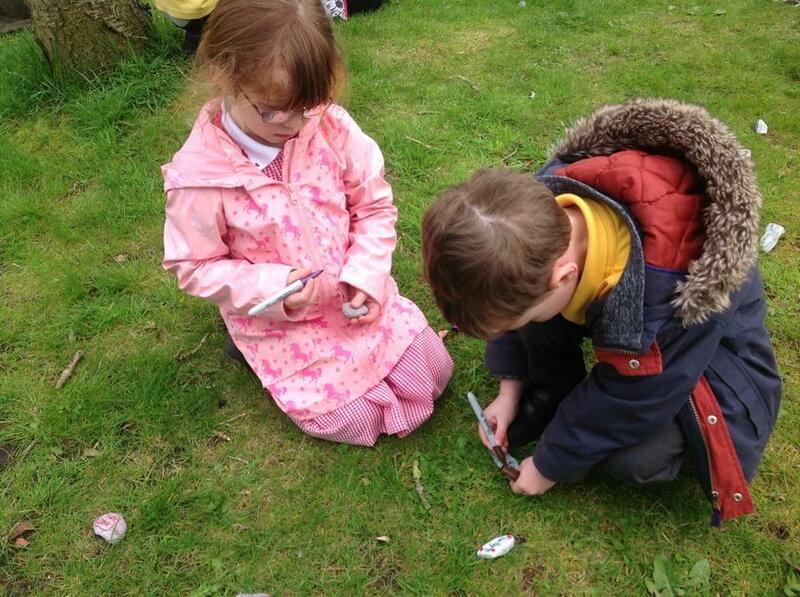 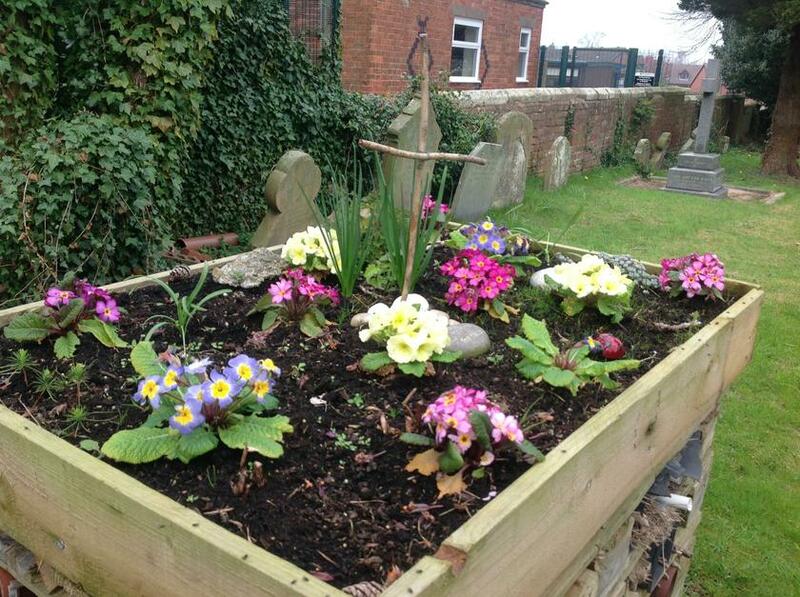 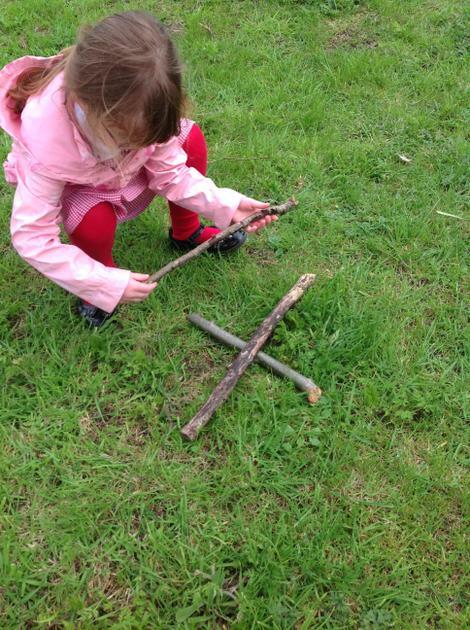 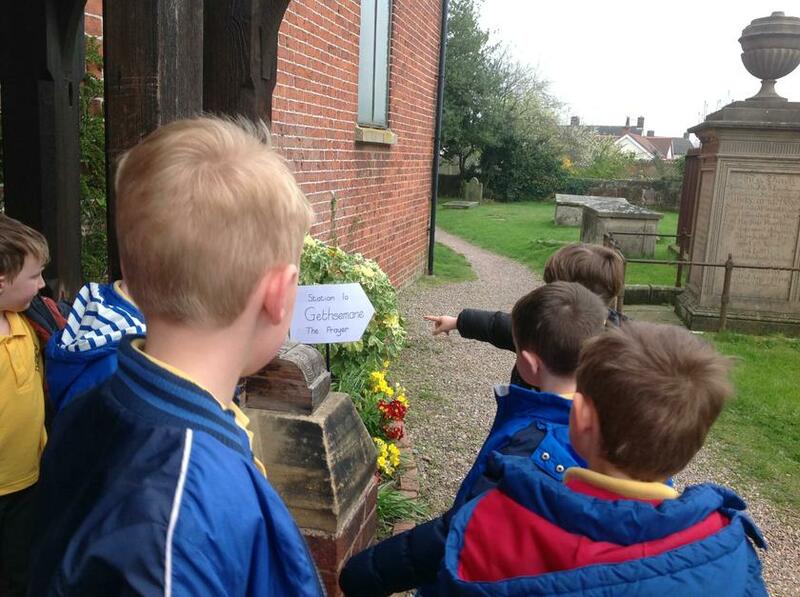 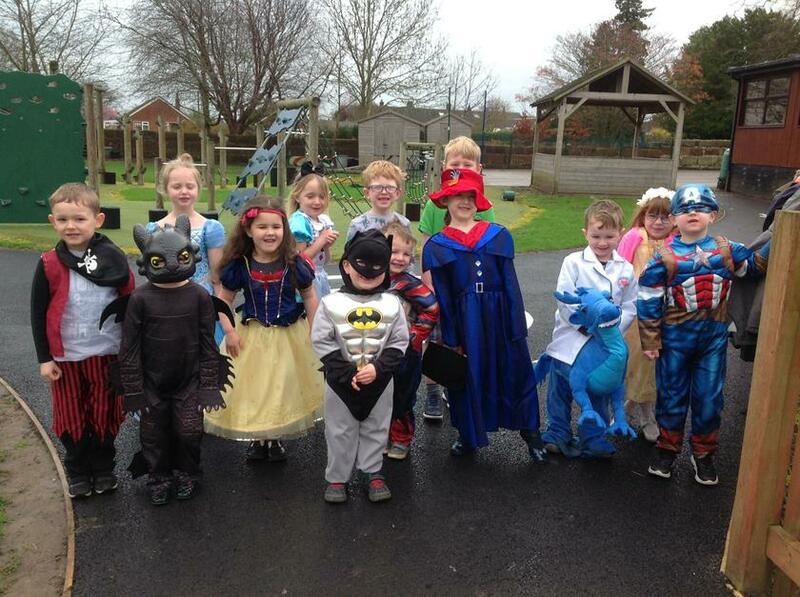 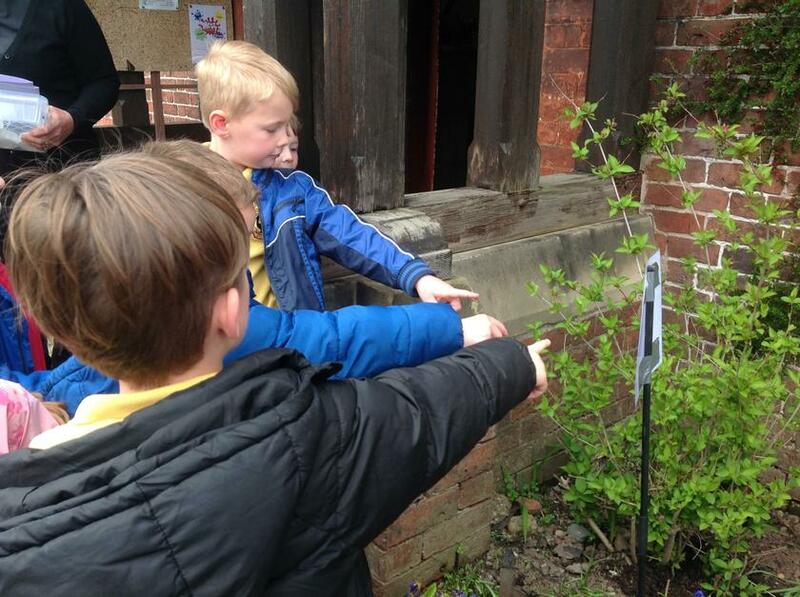 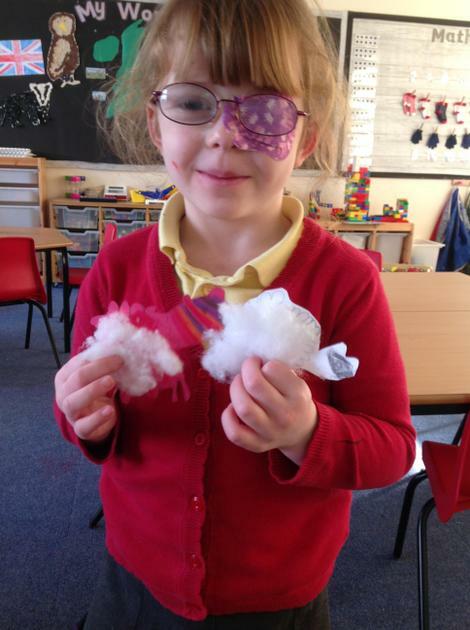 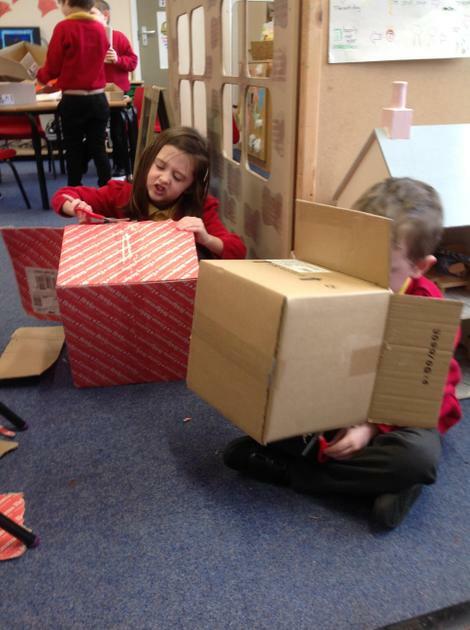 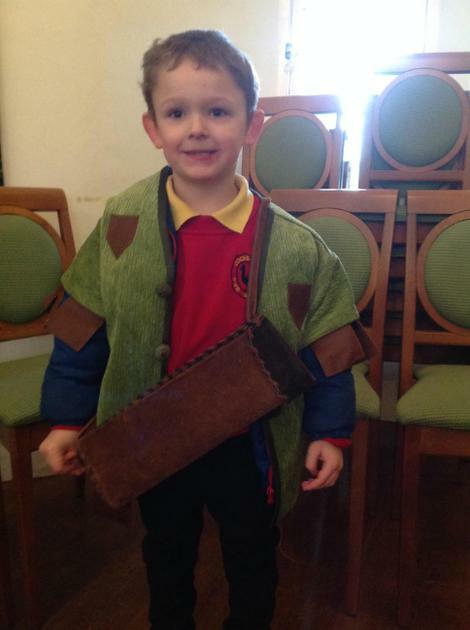 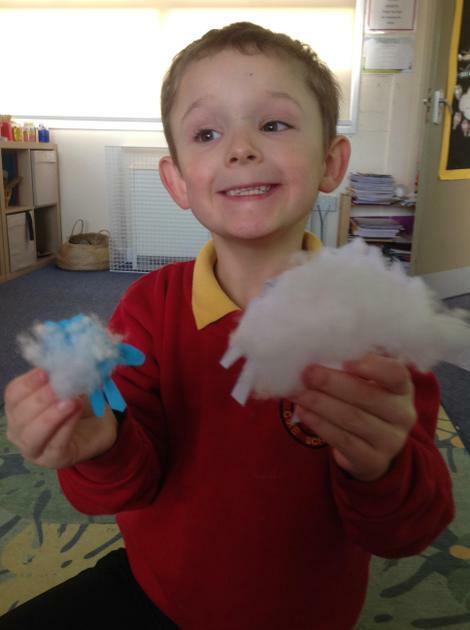 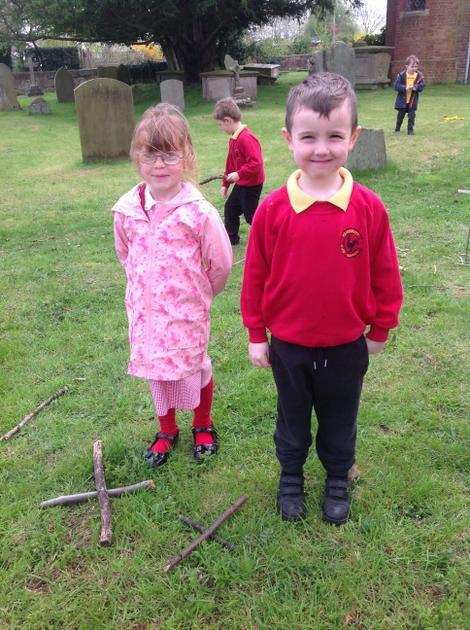 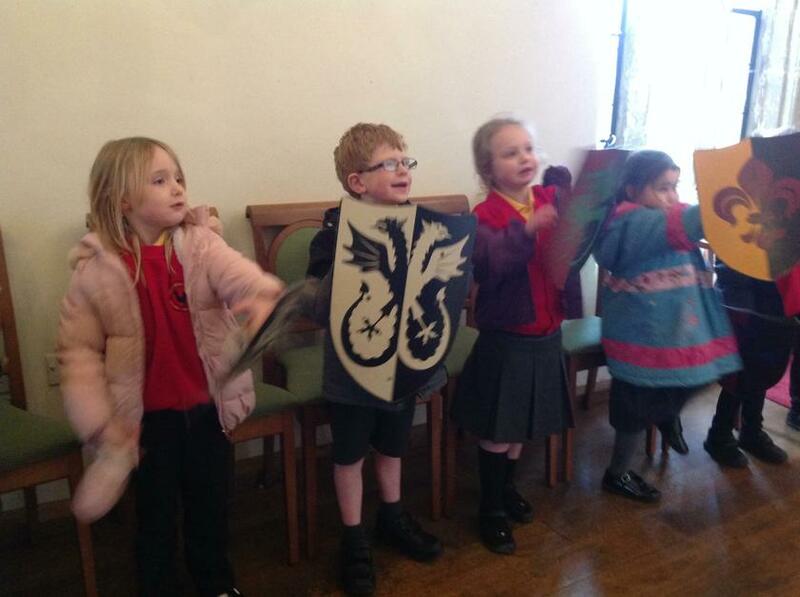 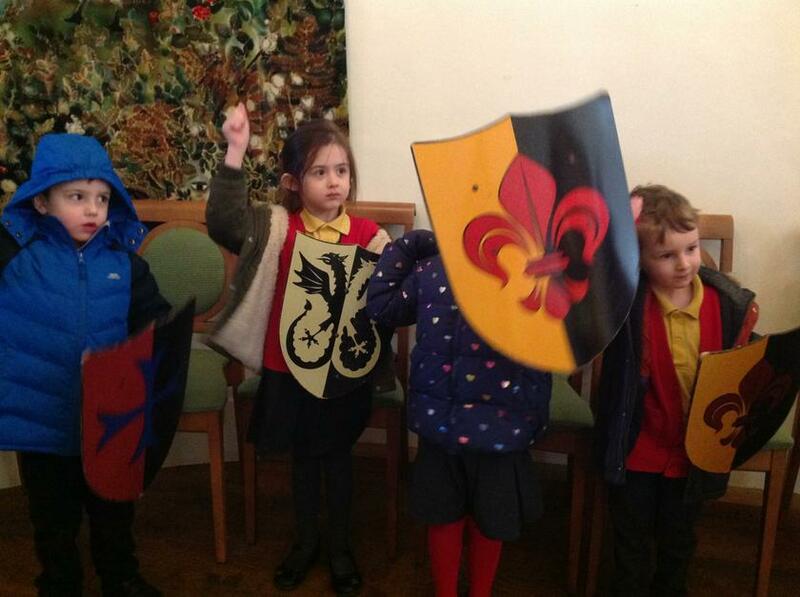 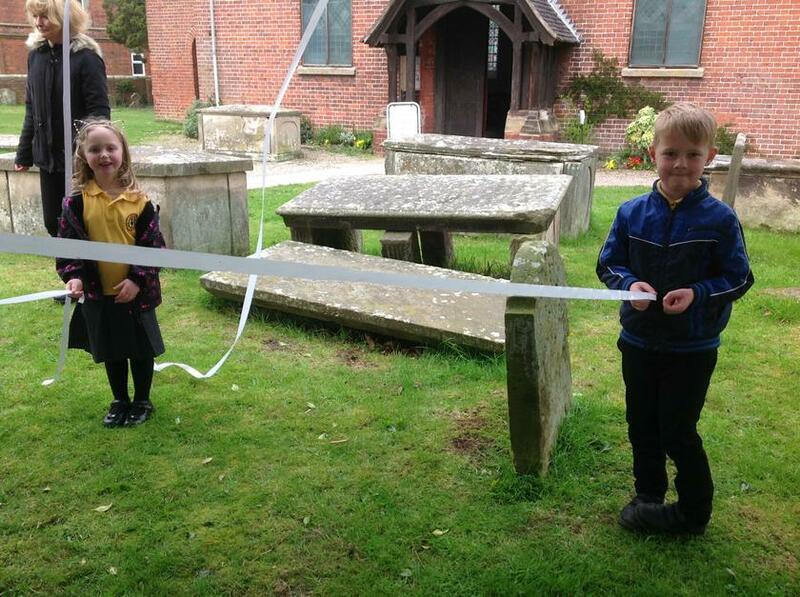 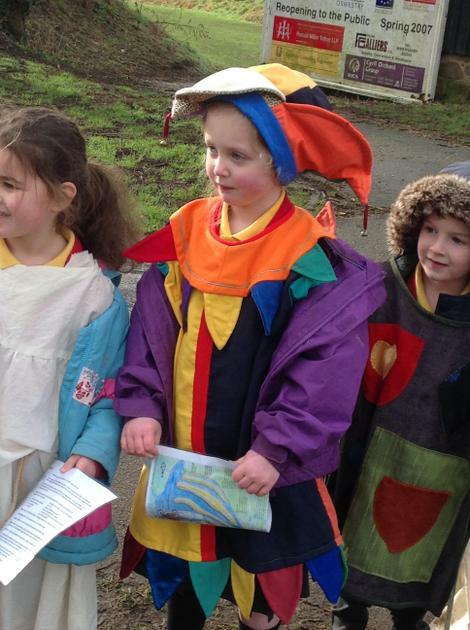 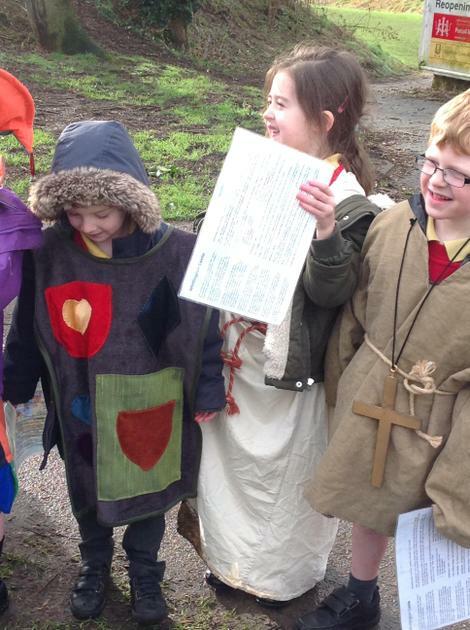 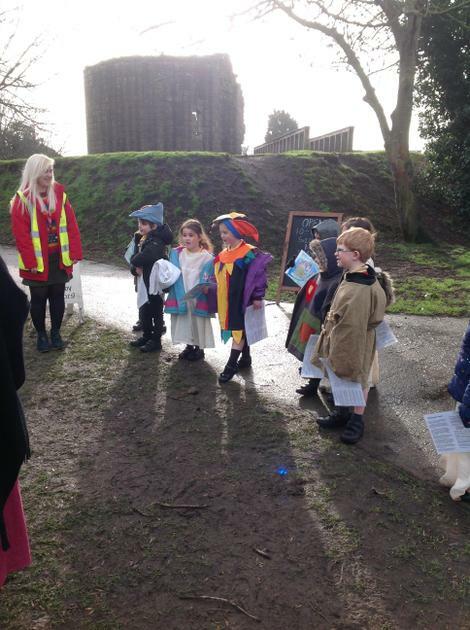 It was lots of fun creating and retelling parts of the story in the Churchyard. 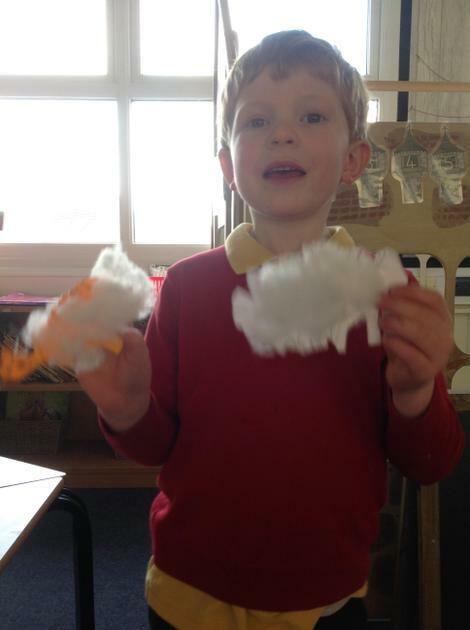 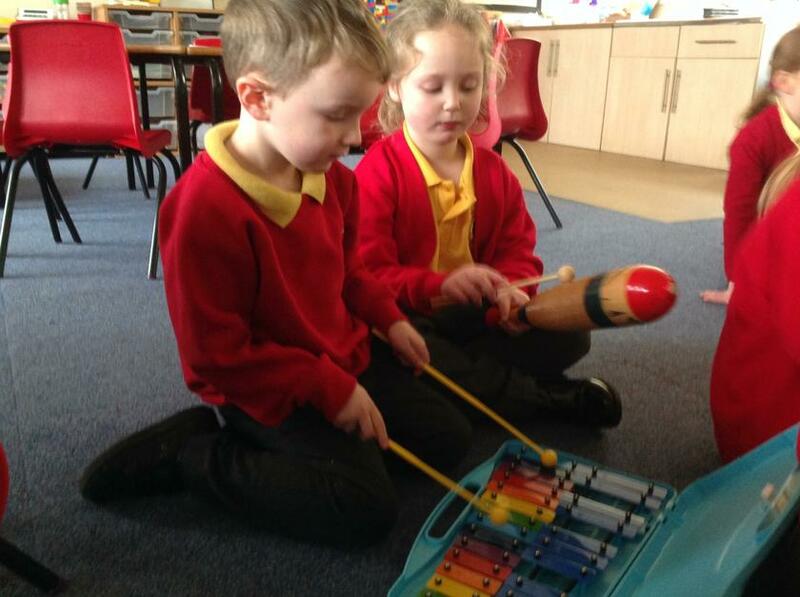 As part of our focus on British Wildlife, we composed our own music based on the Carnival of the Animals. 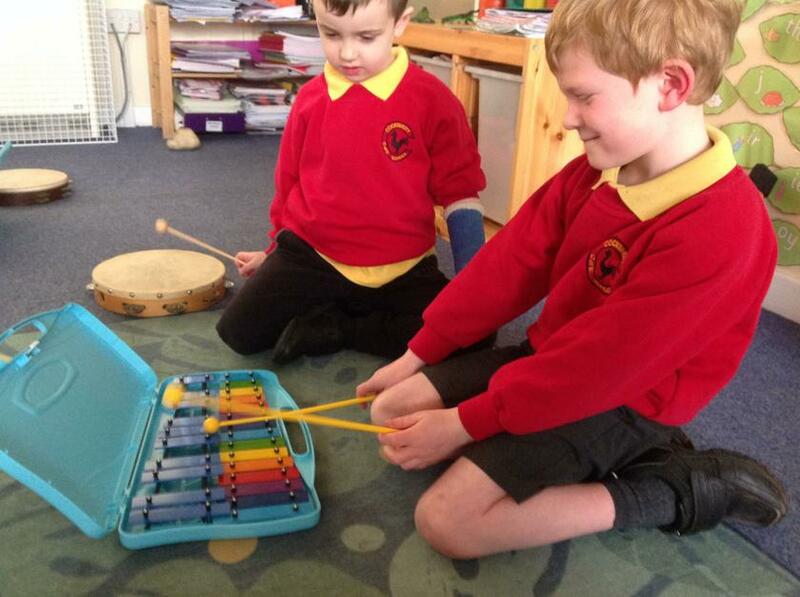 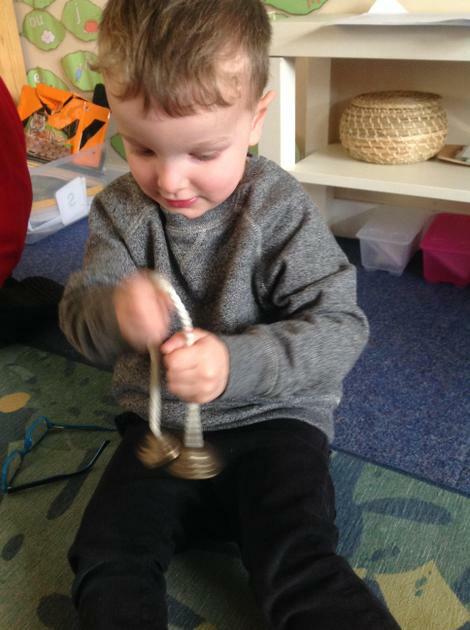 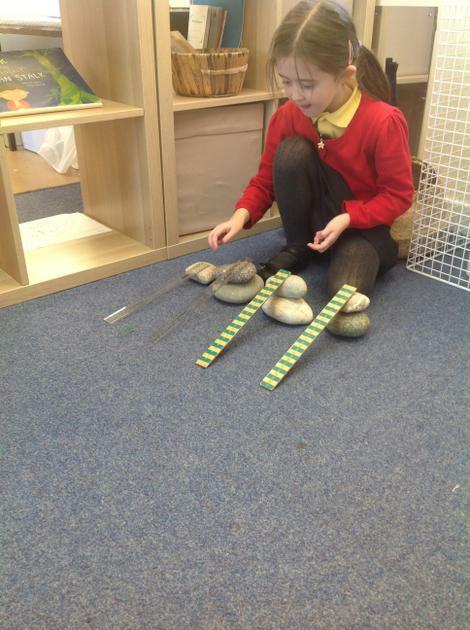 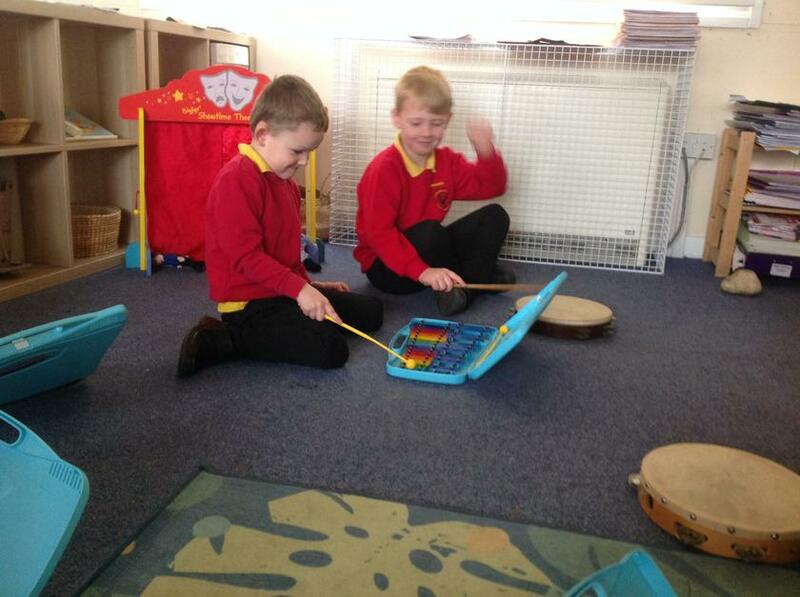 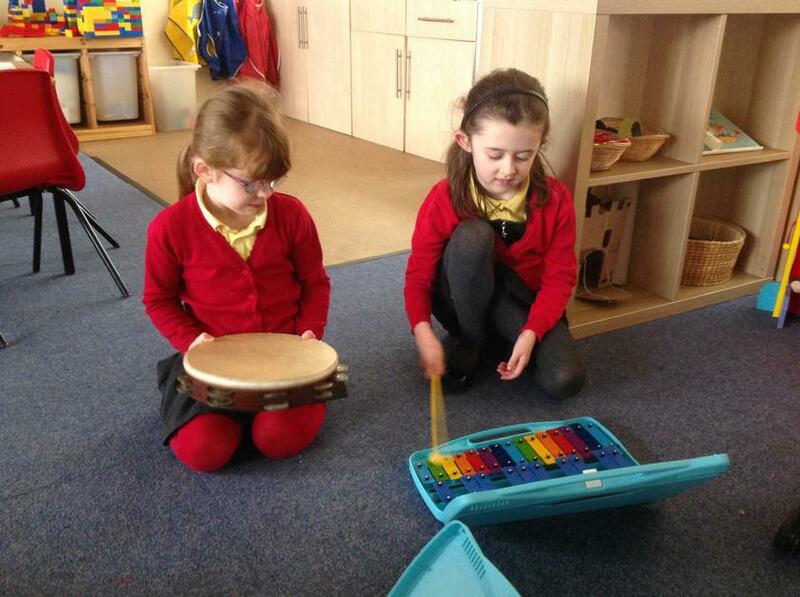 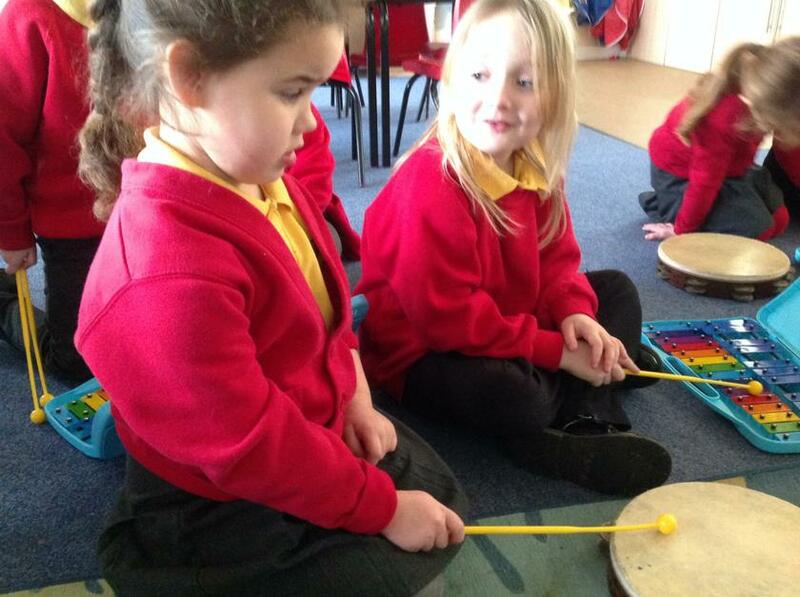 We had some excellent, tuneful compositions! 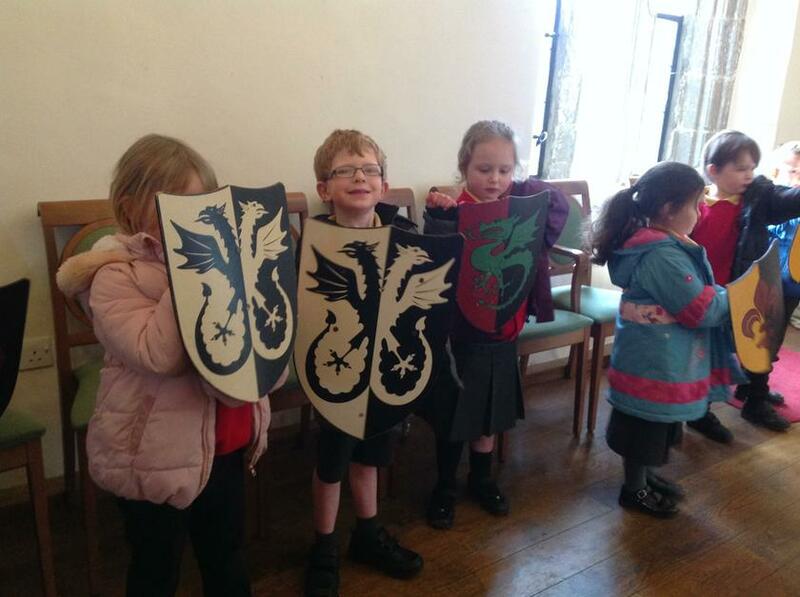 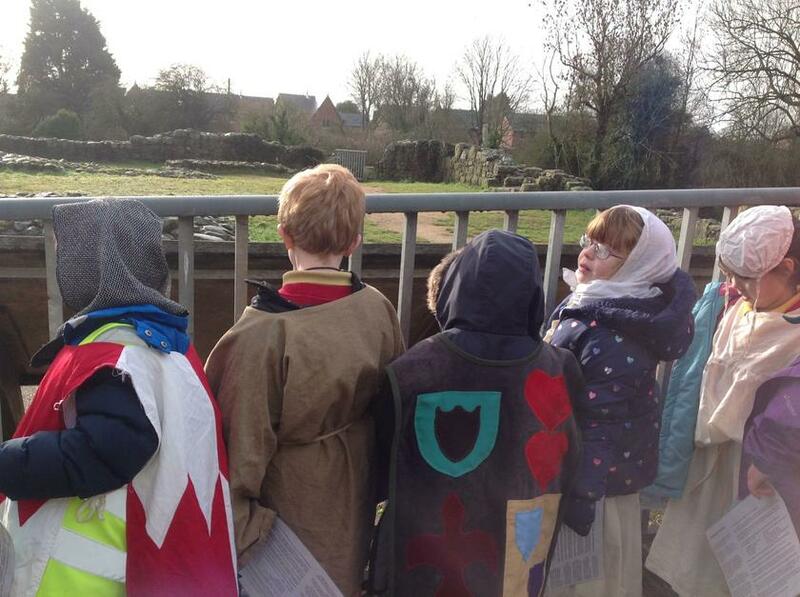 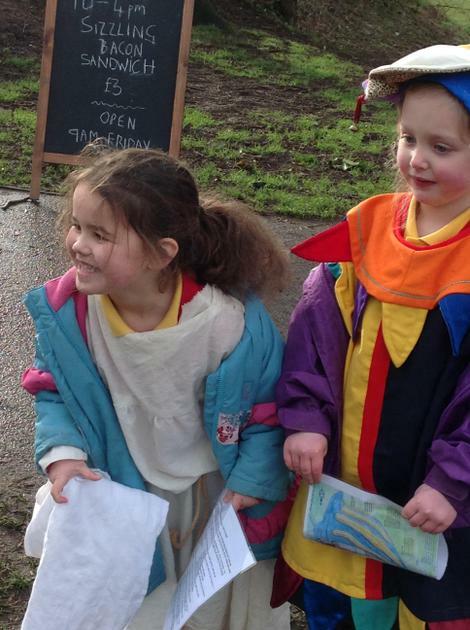 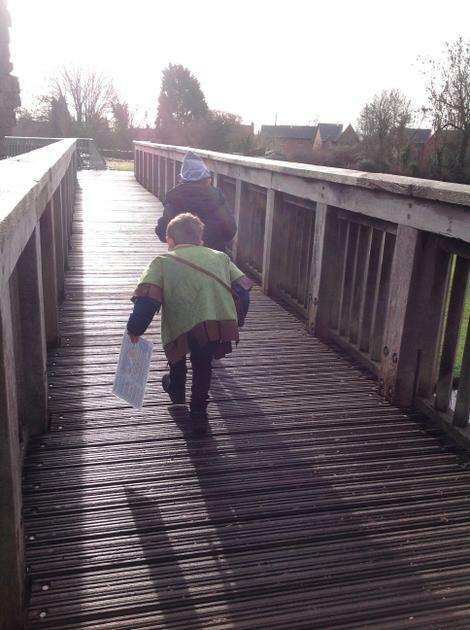 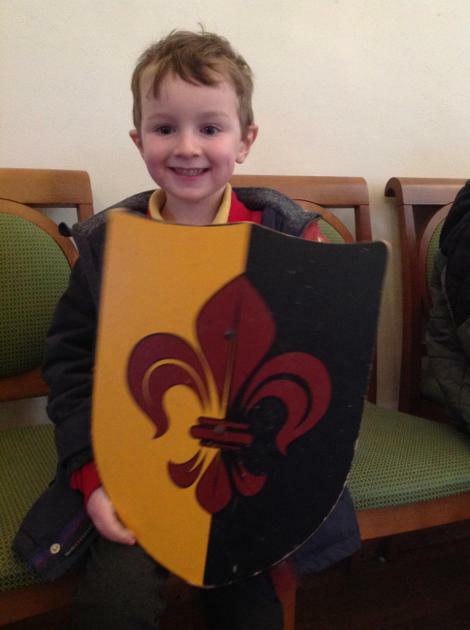 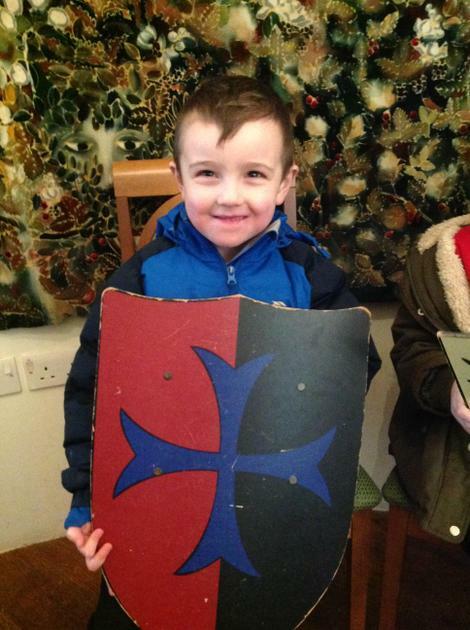 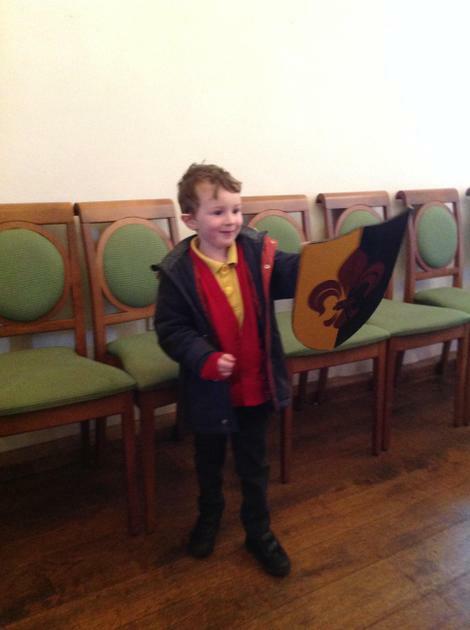 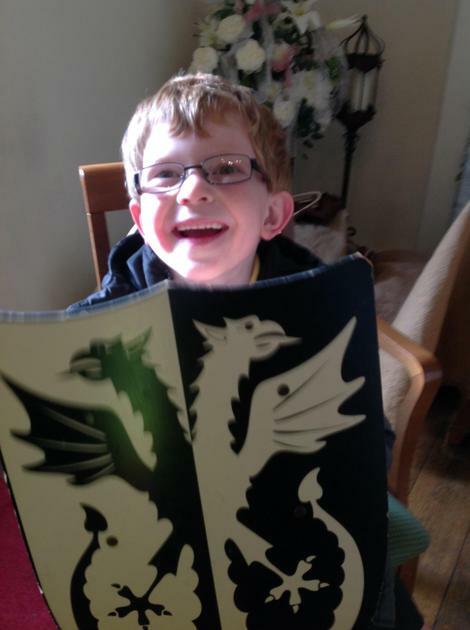 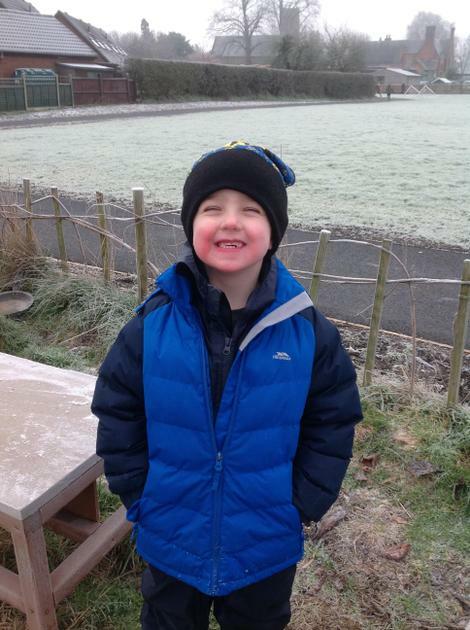 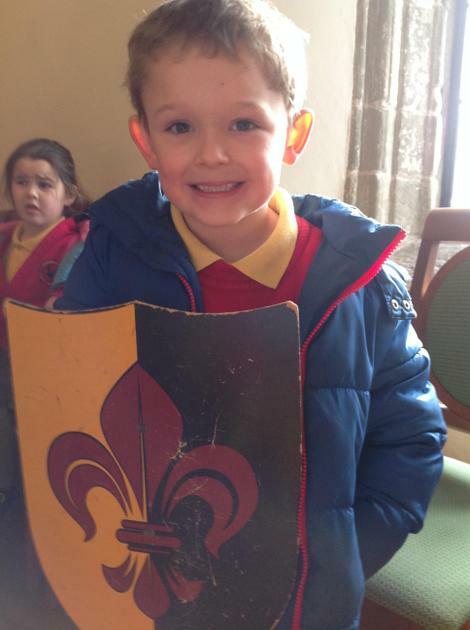 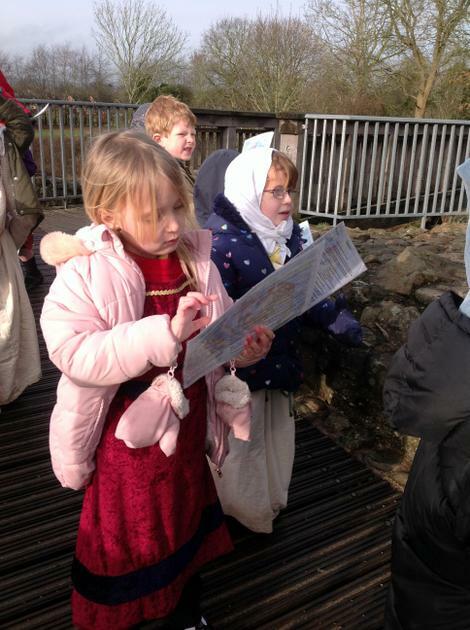 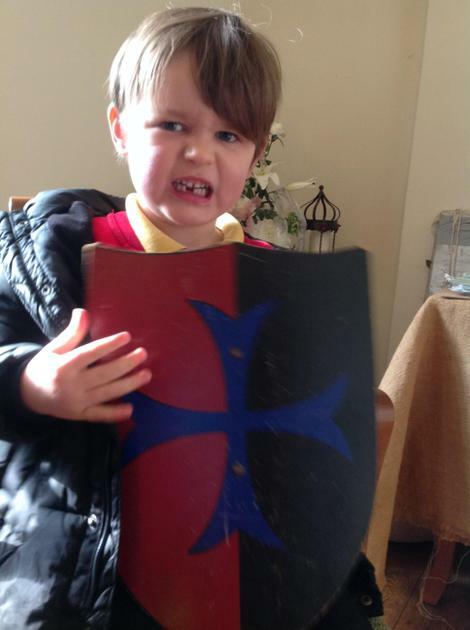 We had a brilliant time on our trip to Whittington Castle! 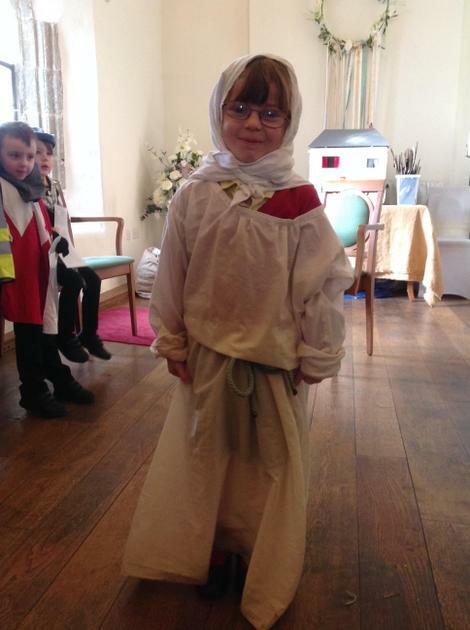 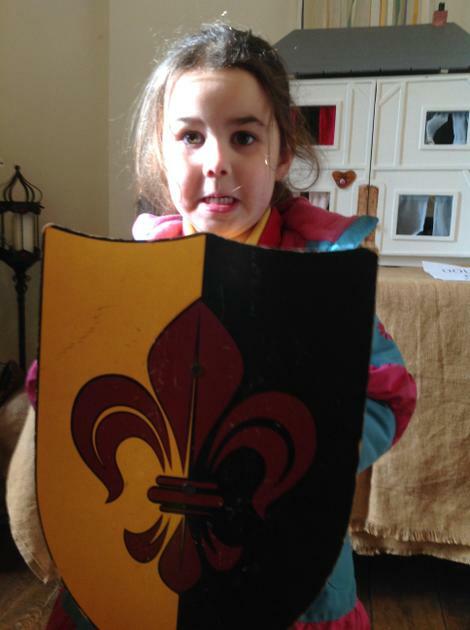 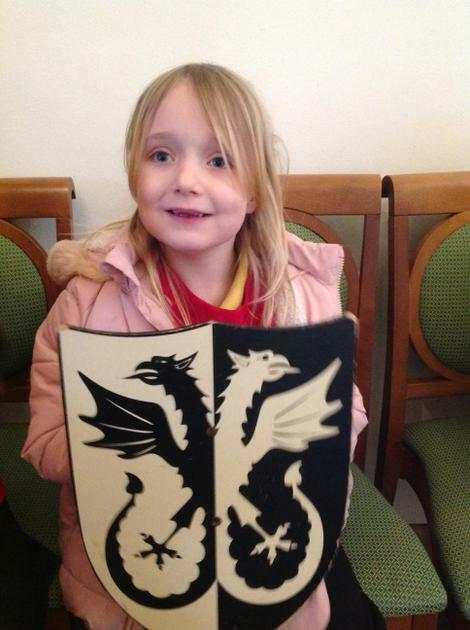 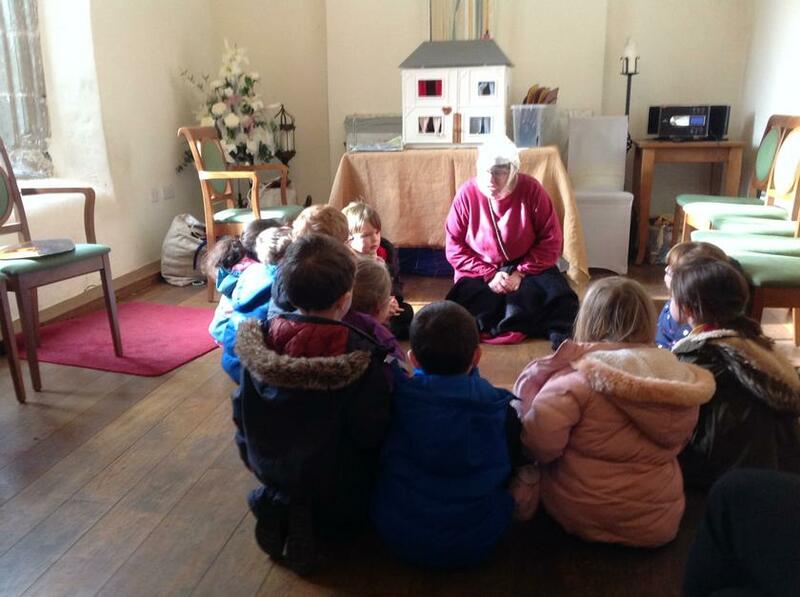 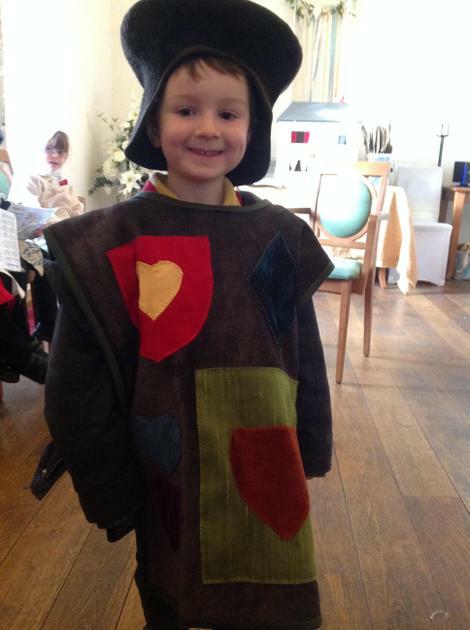 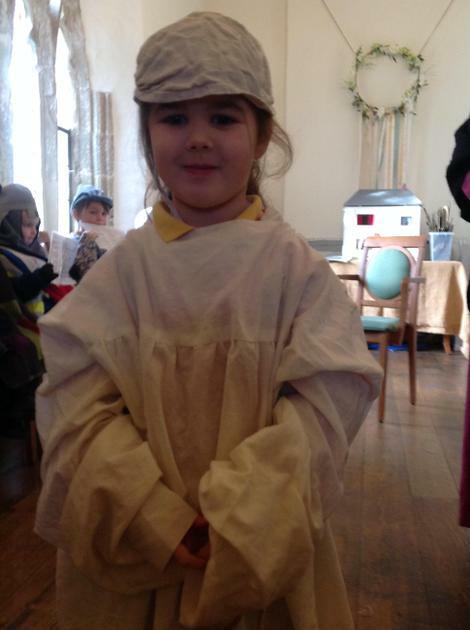 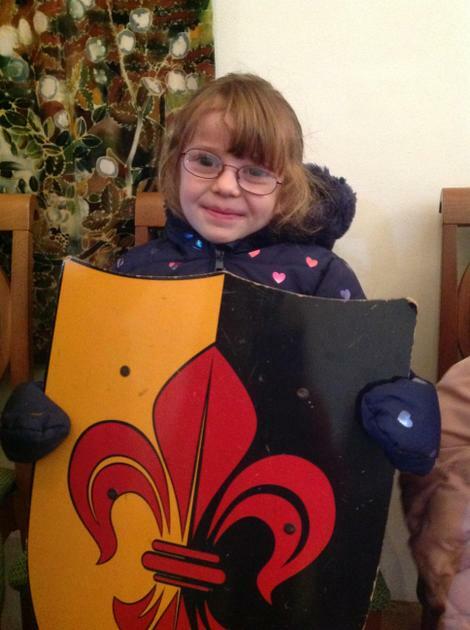 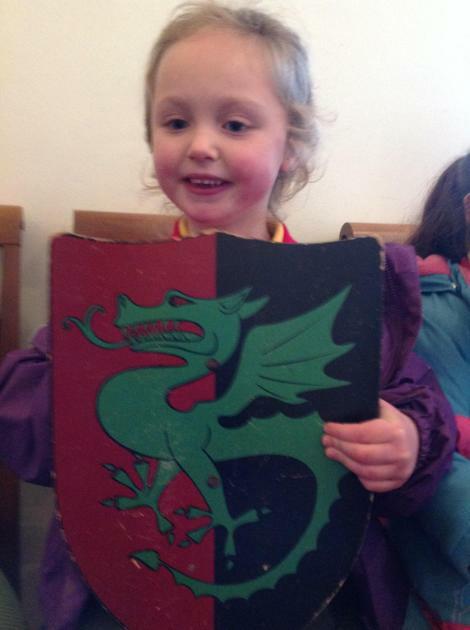 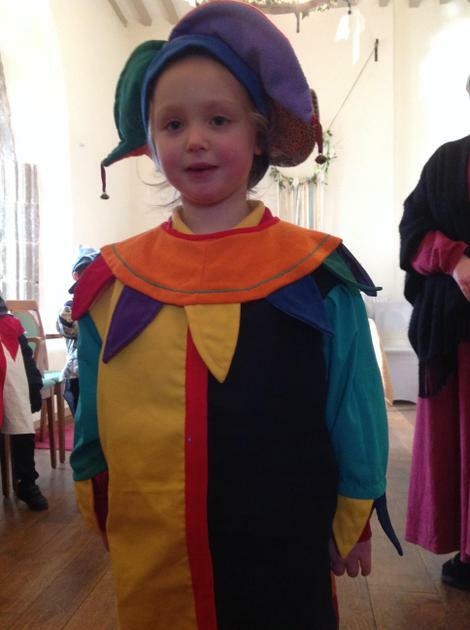 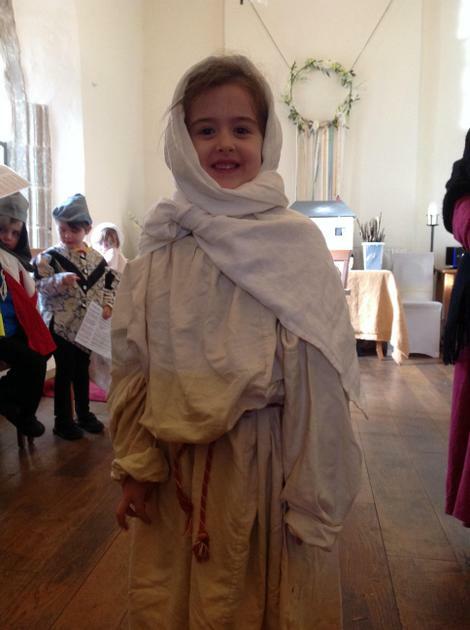 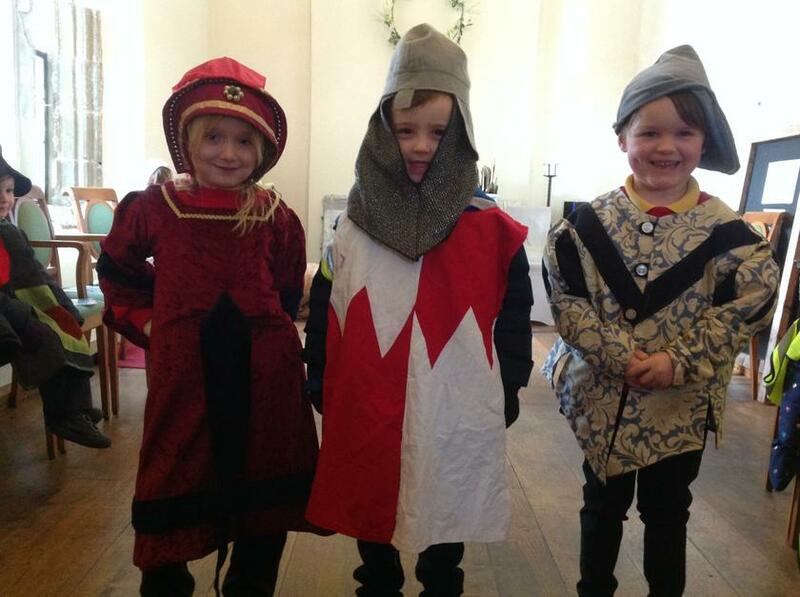 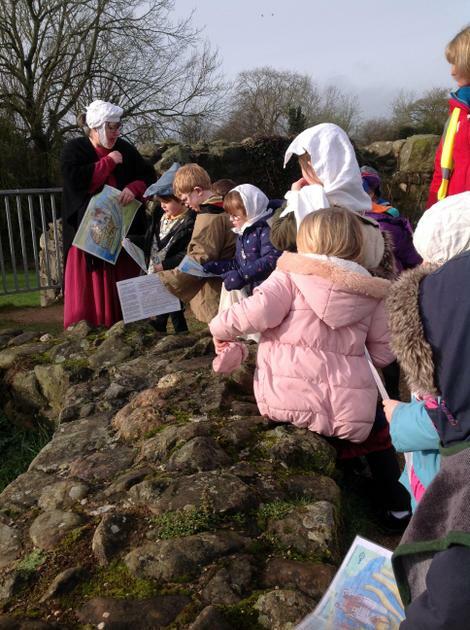 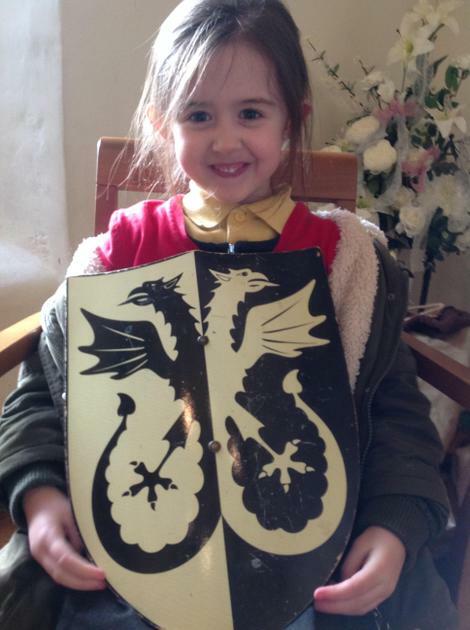 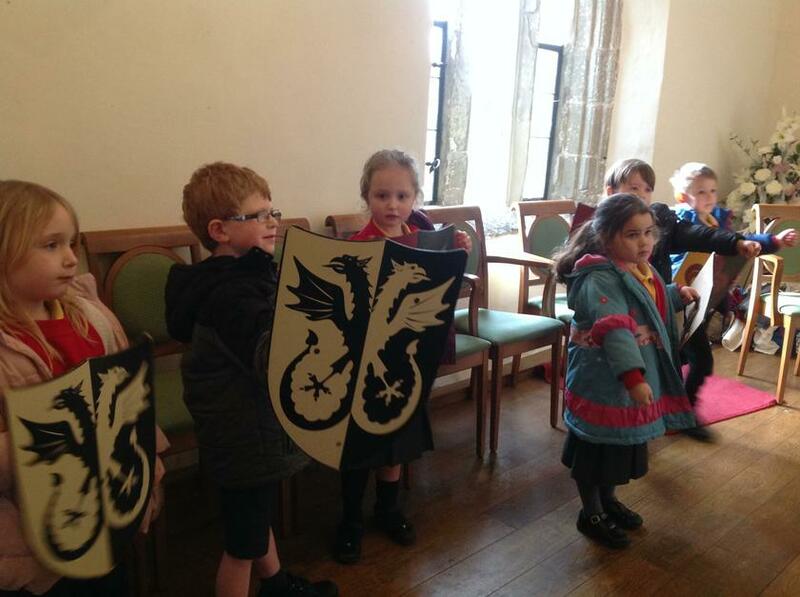 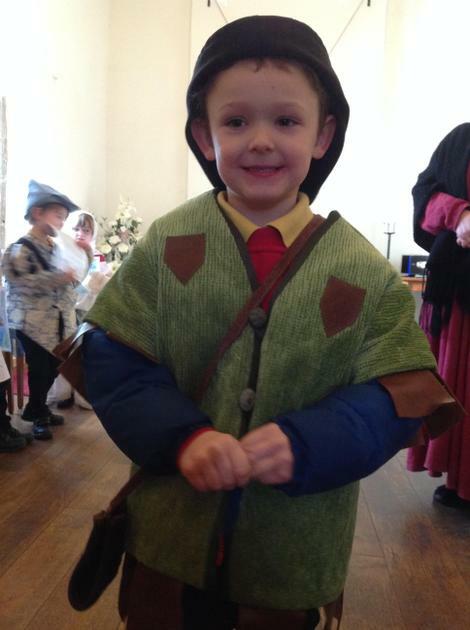 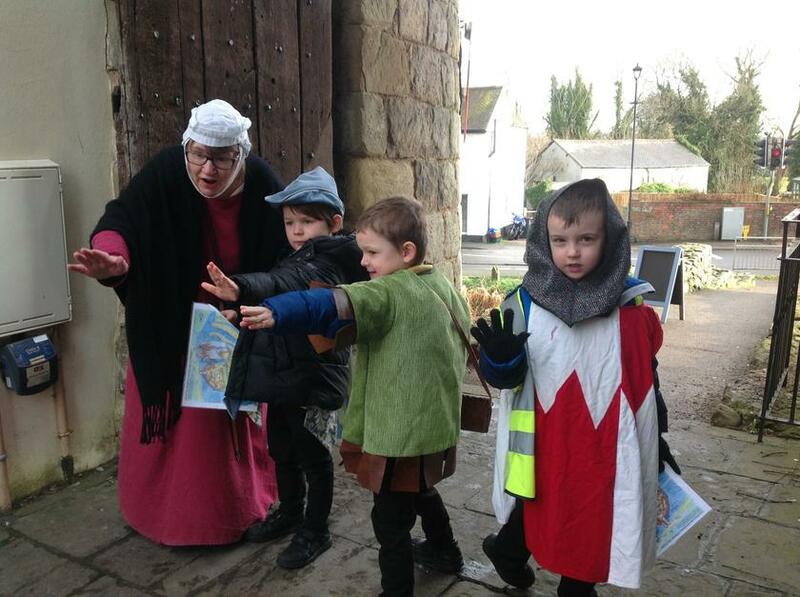 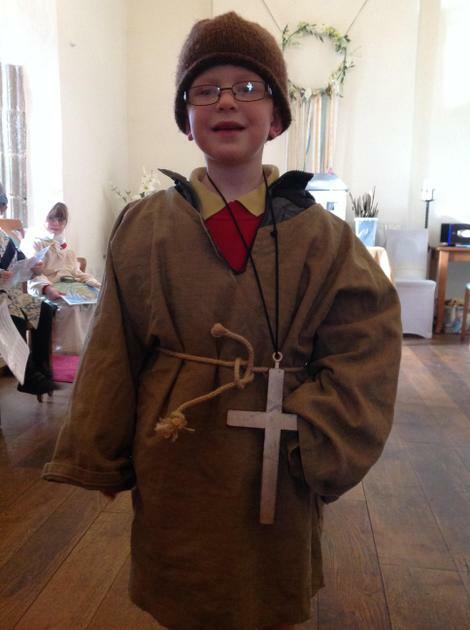 All the children loved dressing up as different people who lived in the castle when it was built and we really impressed "Mistress Sue" with our excellent knowledge of castles on our guided tour. 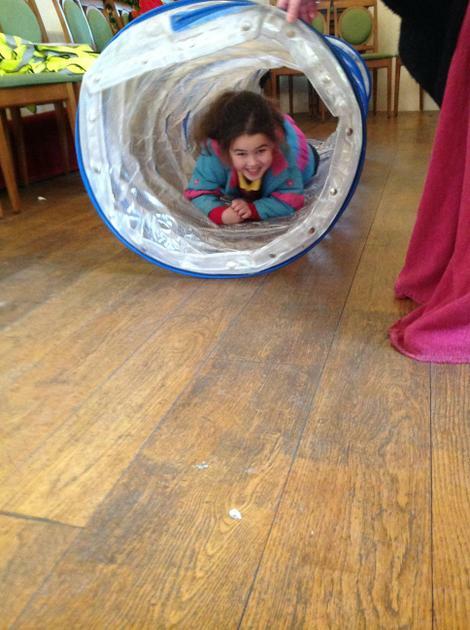 Then we played a magic tunnel game, which either turned us into bad or good mythical characters. 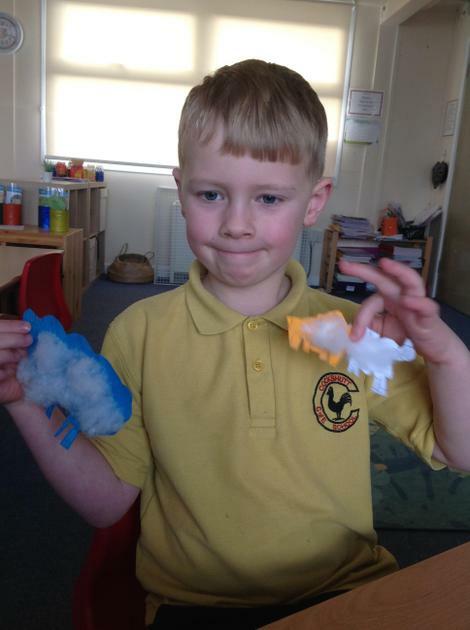 We ended up with some smelly trolls and nasty dragons! 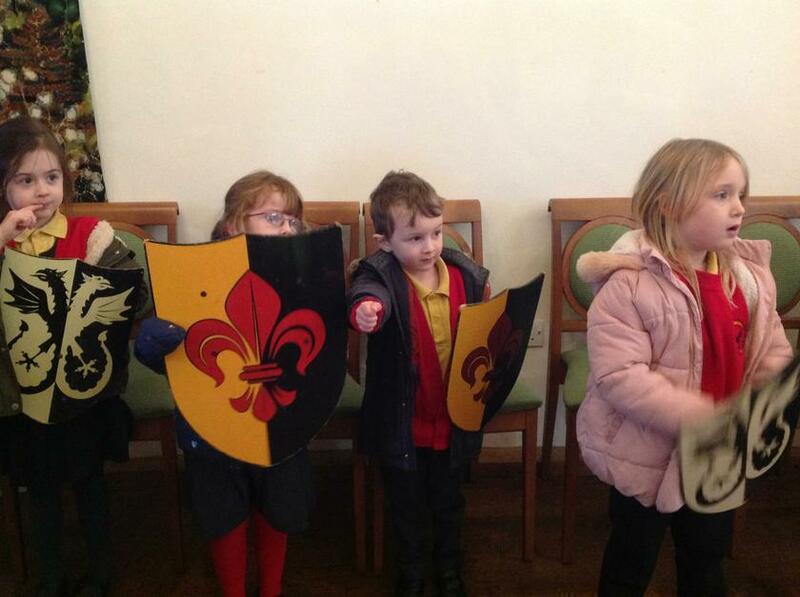 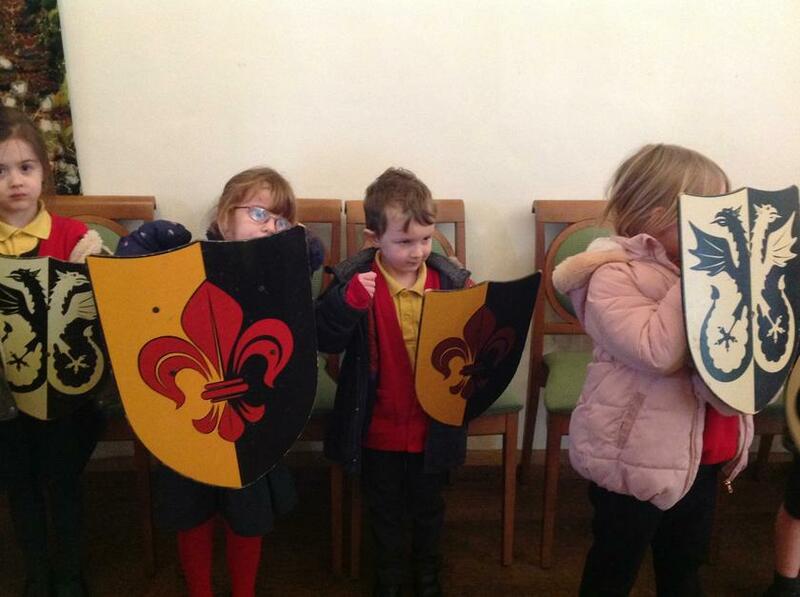 Thankfully, we had shields to protect ourselves. 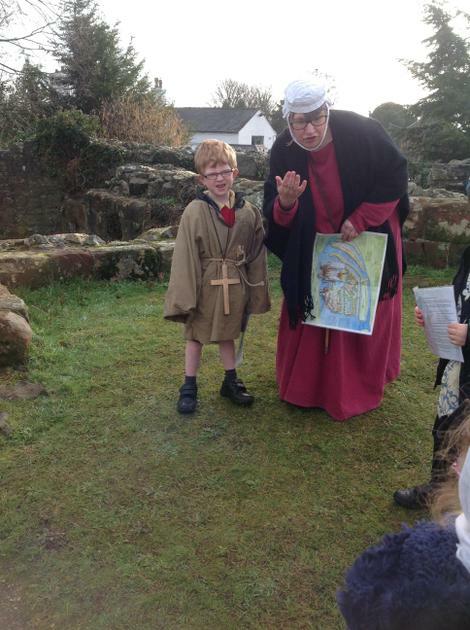 We finished our day with a funny story and a maginifecent medieval feast. 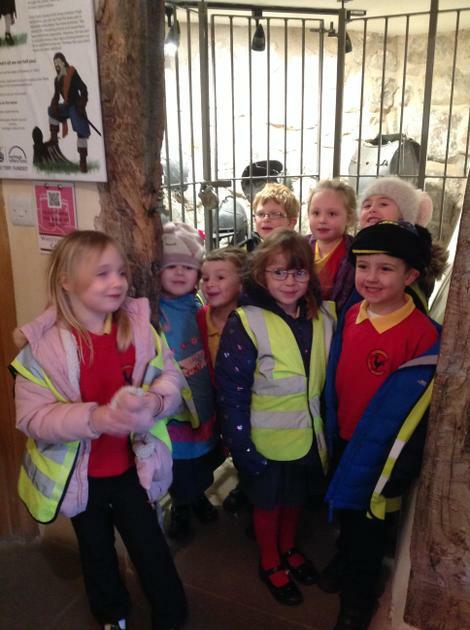 All of the children behaved superbly and were very polite and inquisitive all day (although, they did find it very funny putting me in the stocks!!). 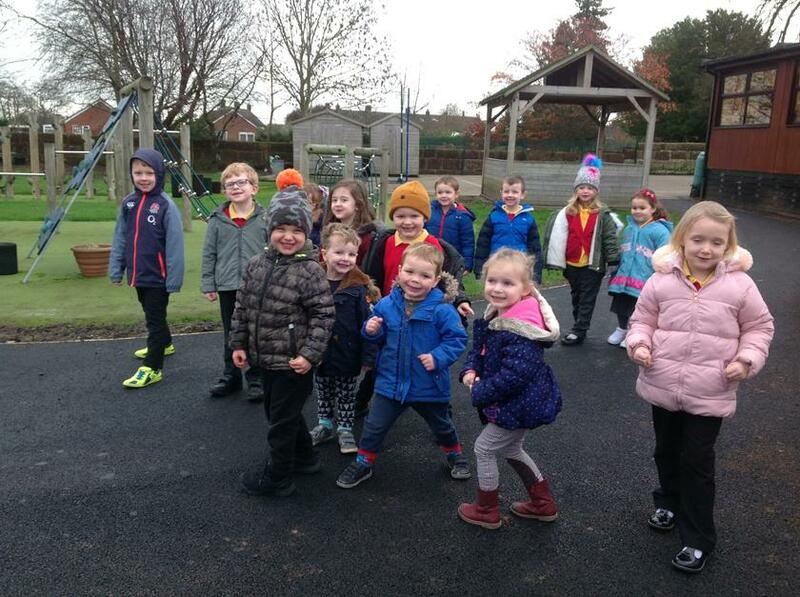 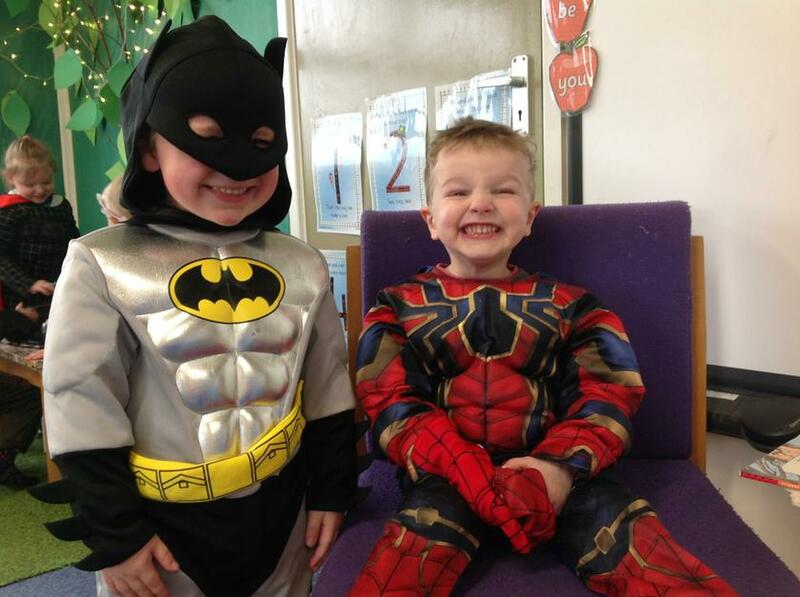 Ready, steady, go! 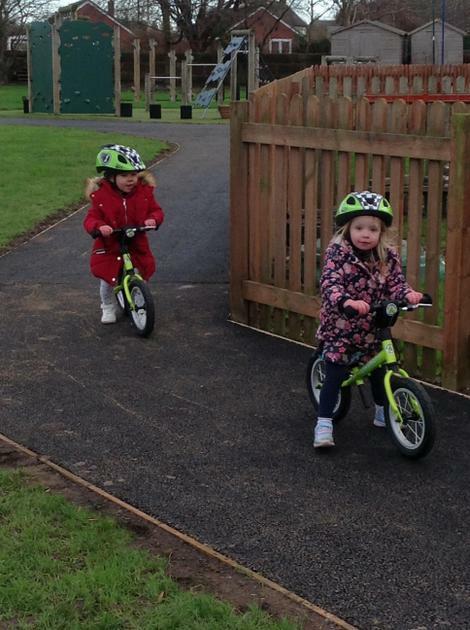 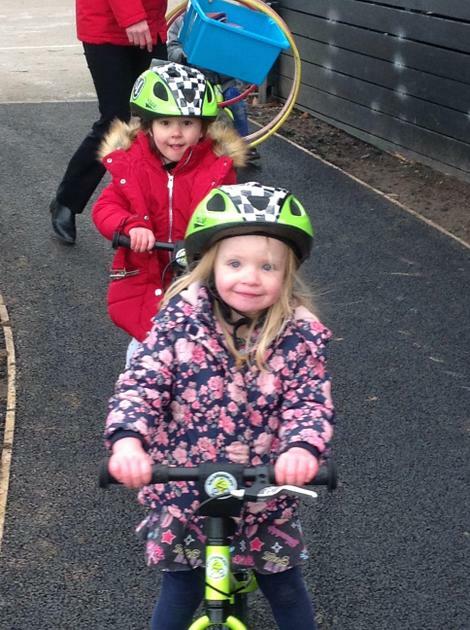 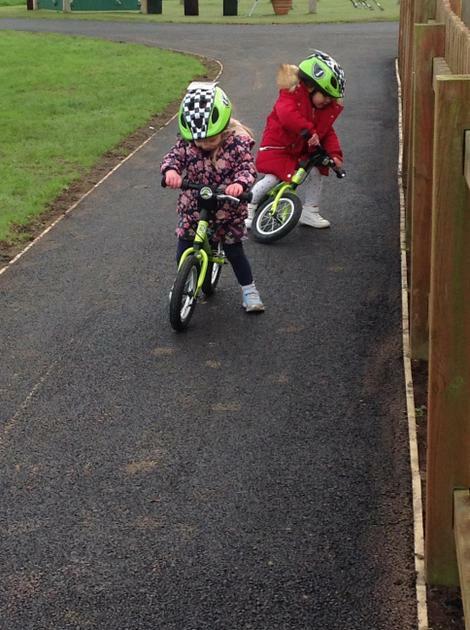 We LOVE our new track! 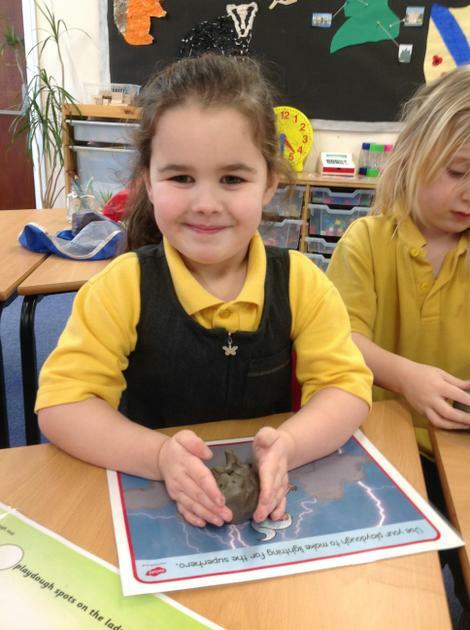 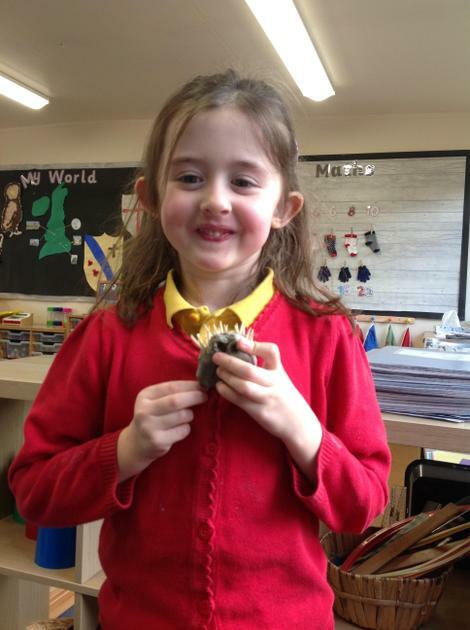 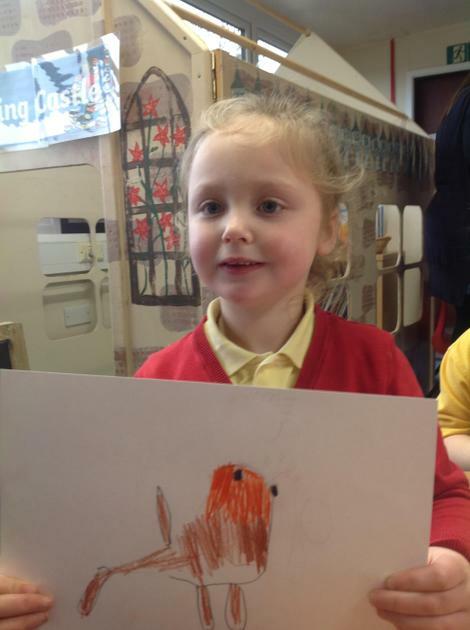 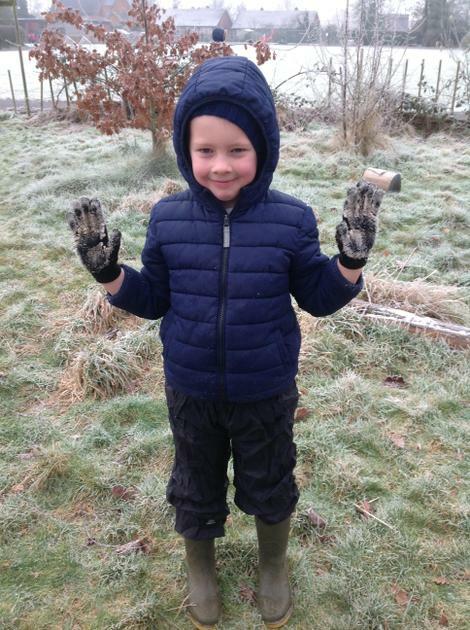 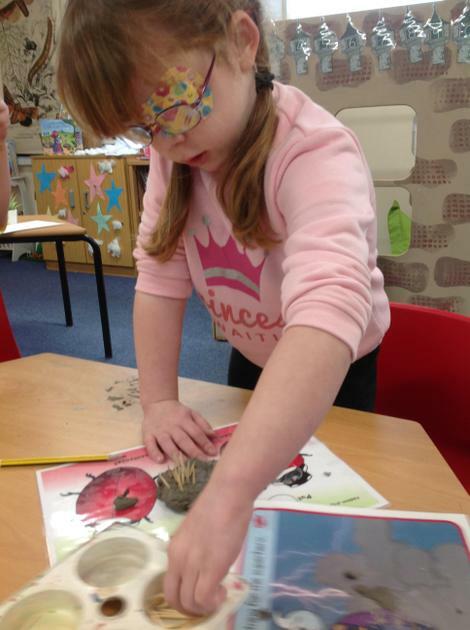 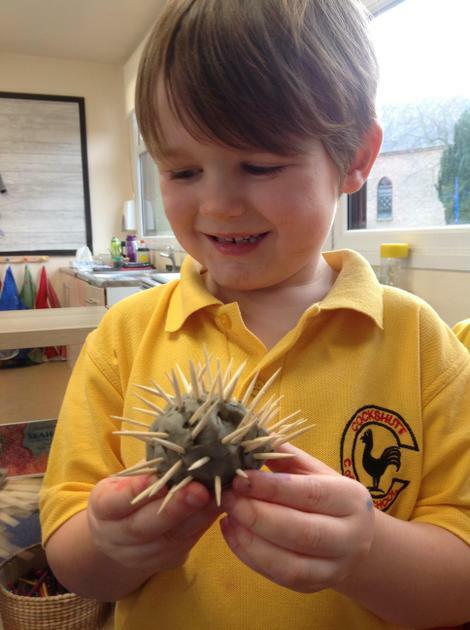 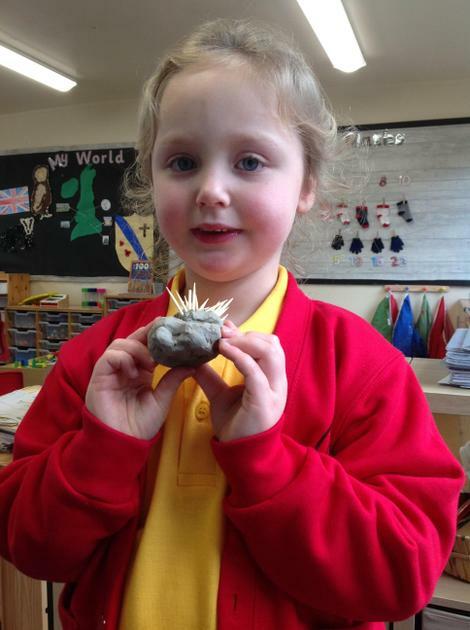 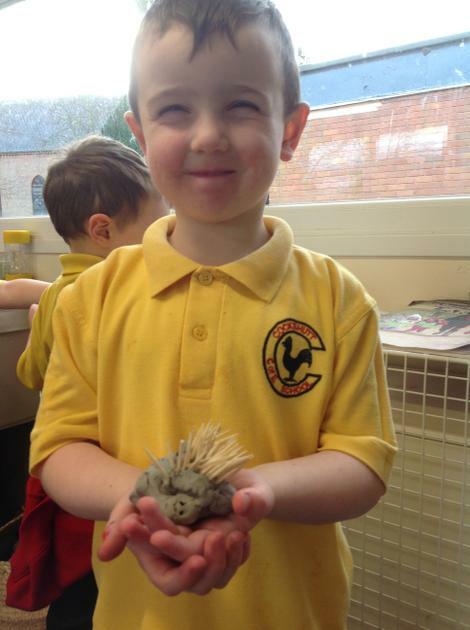 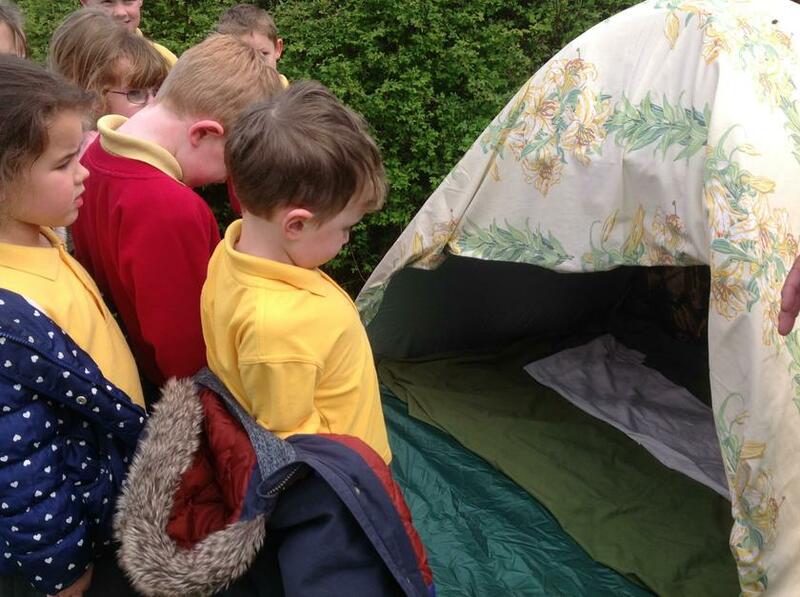 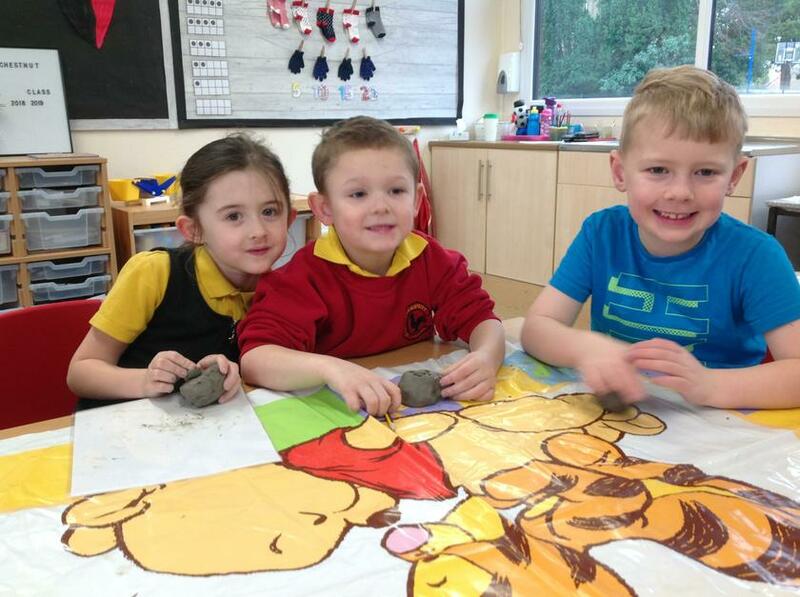 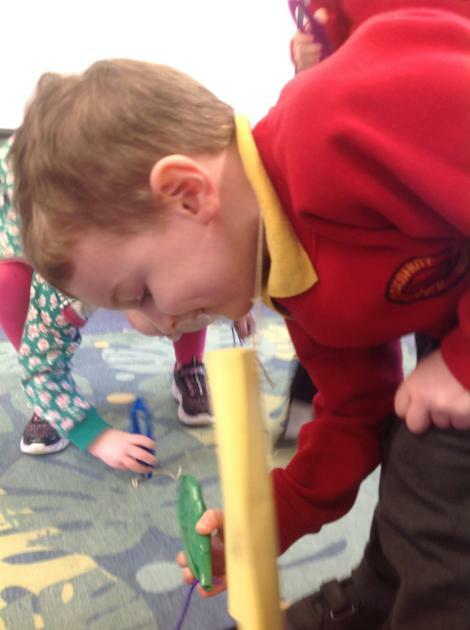 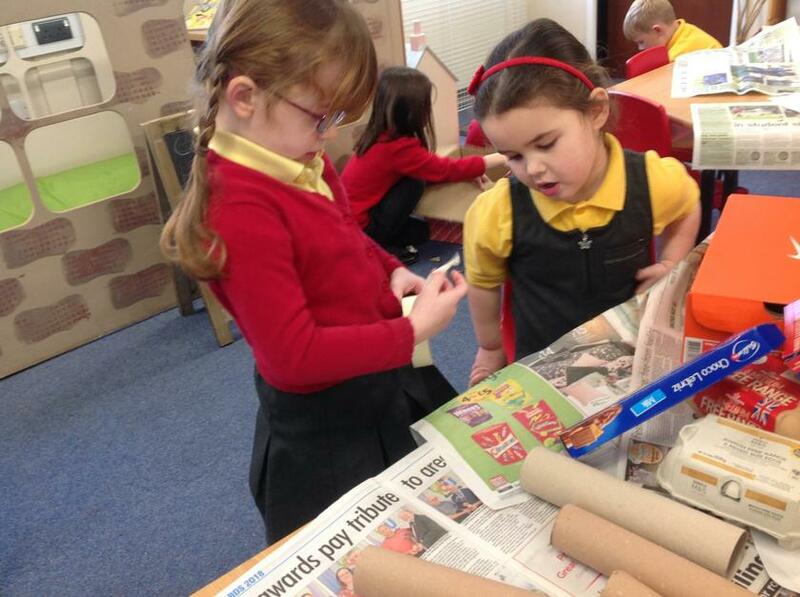 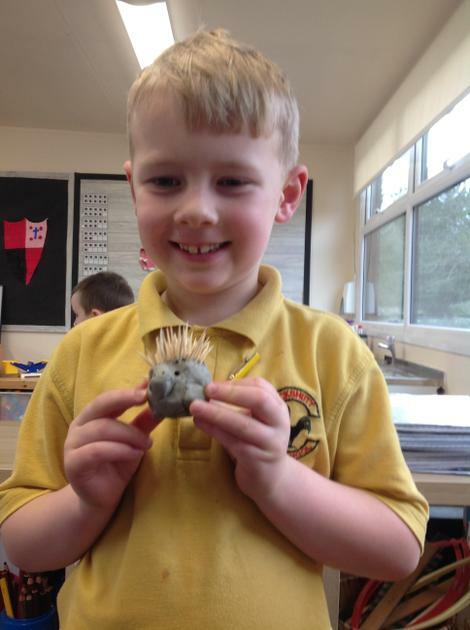 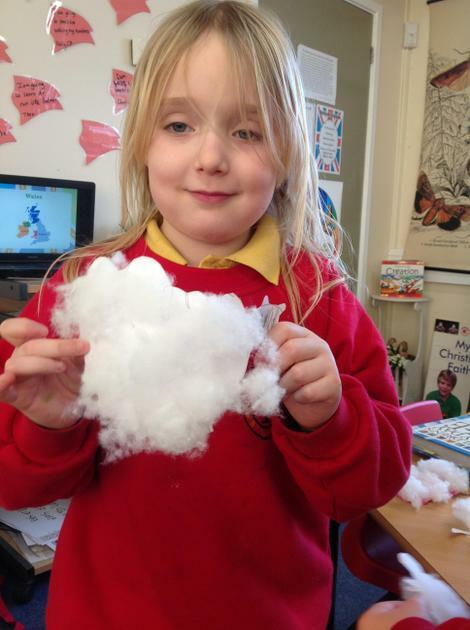 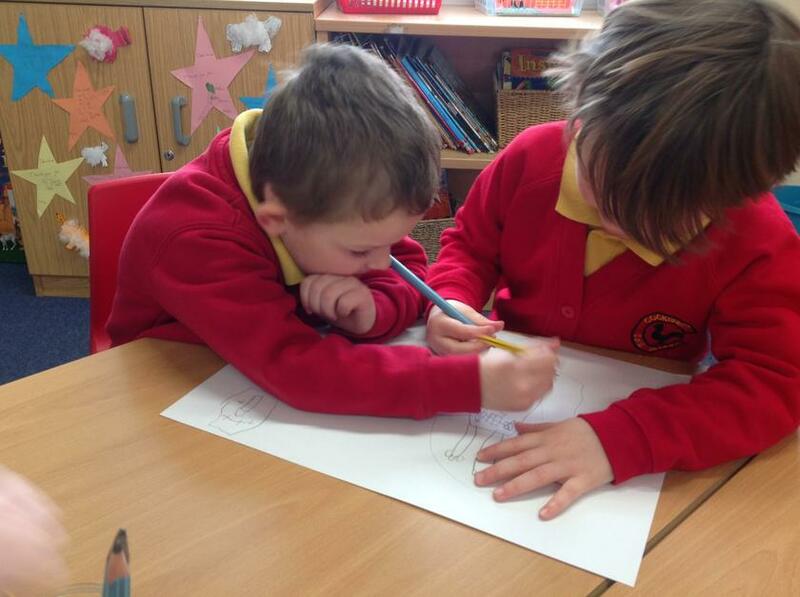 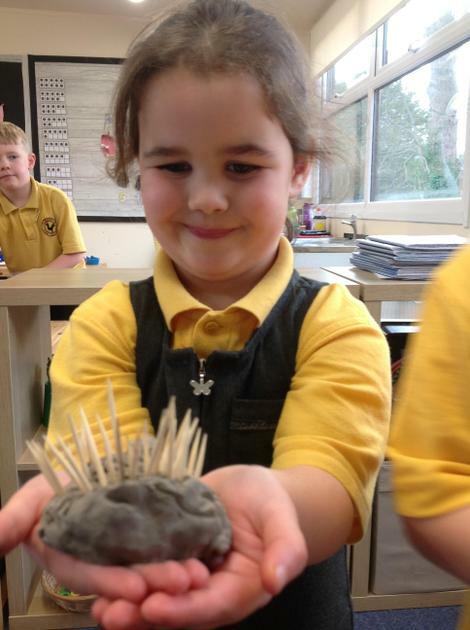 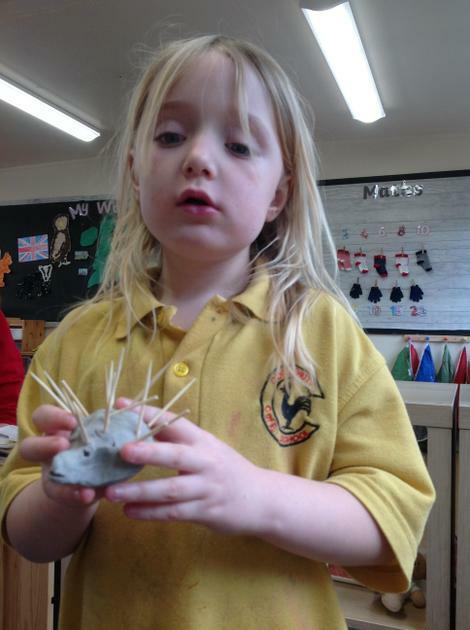 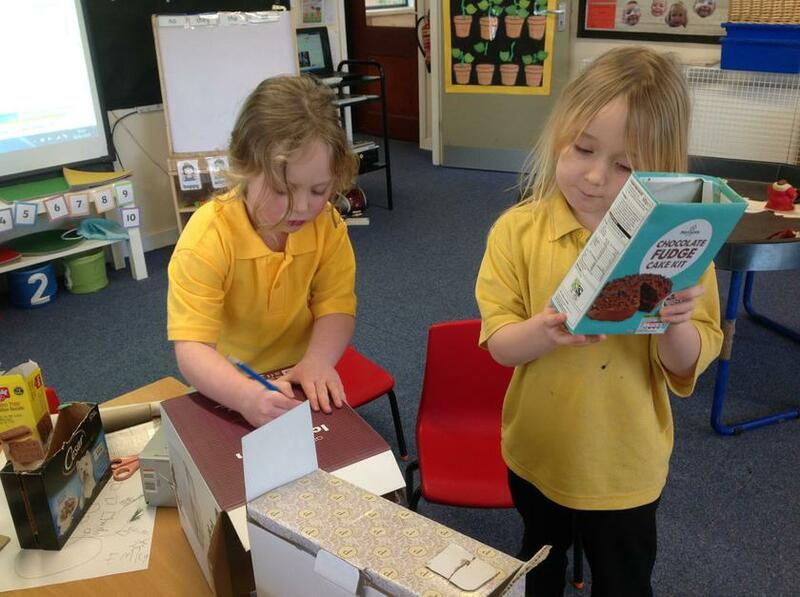 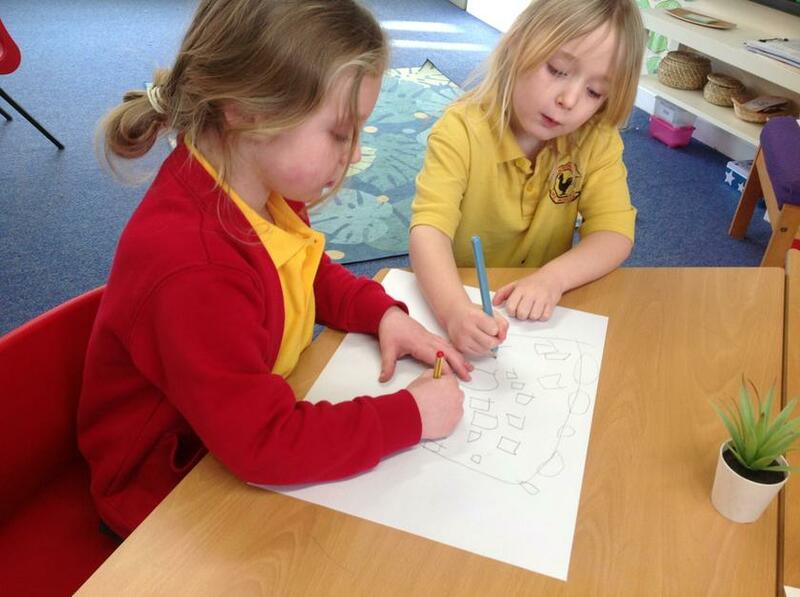 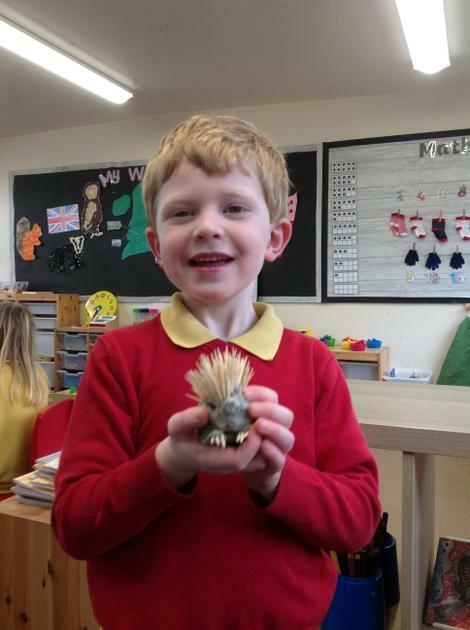 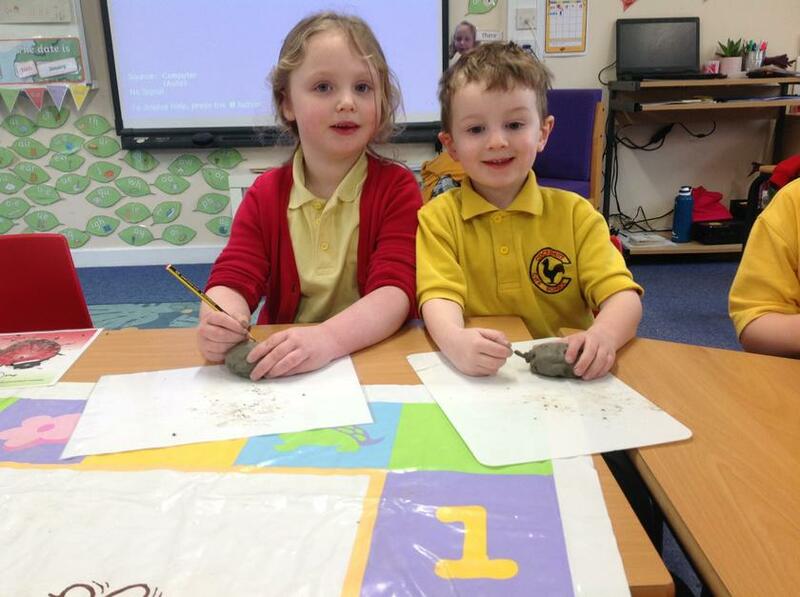 After spotting a hedgehog hibernating in a pile of wood, we decided to learn more about them. 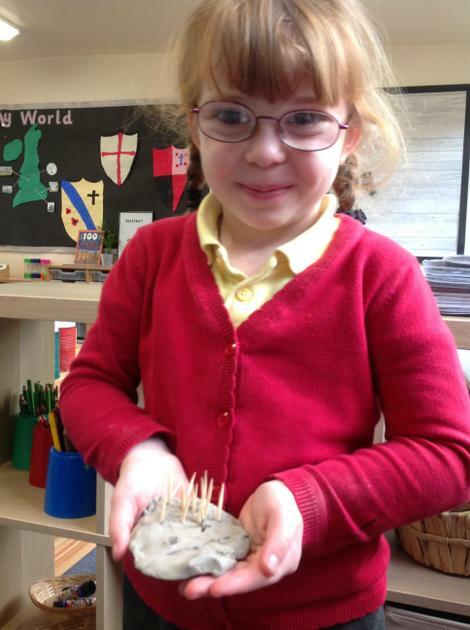 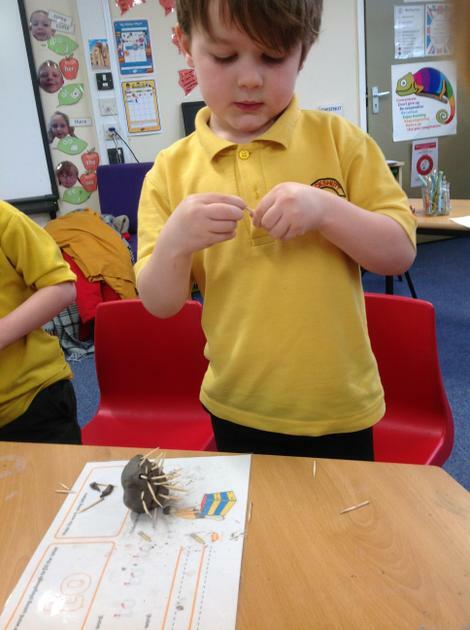 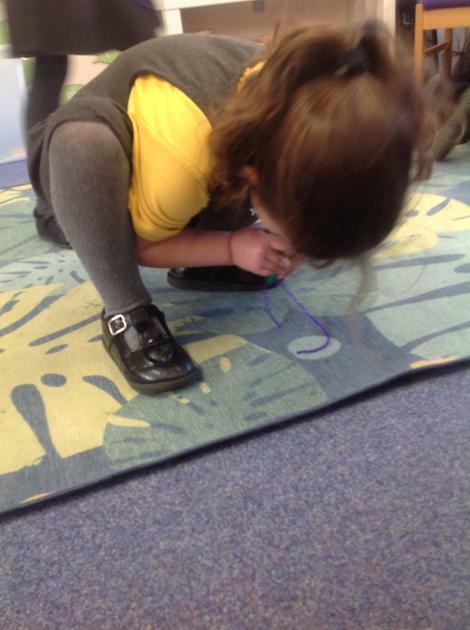 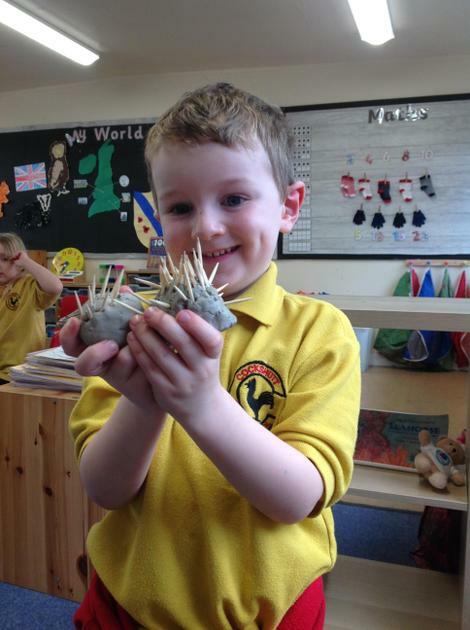 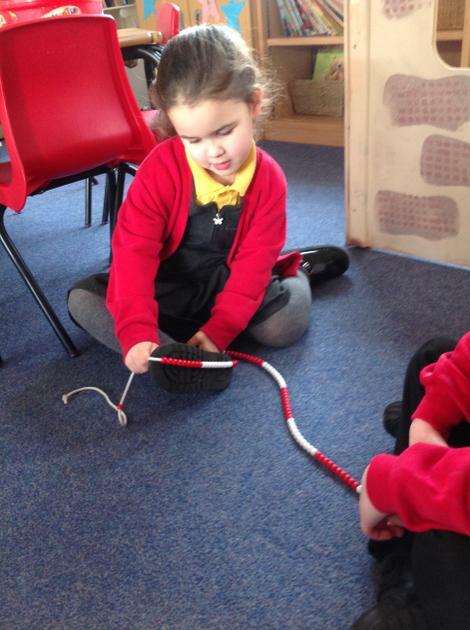 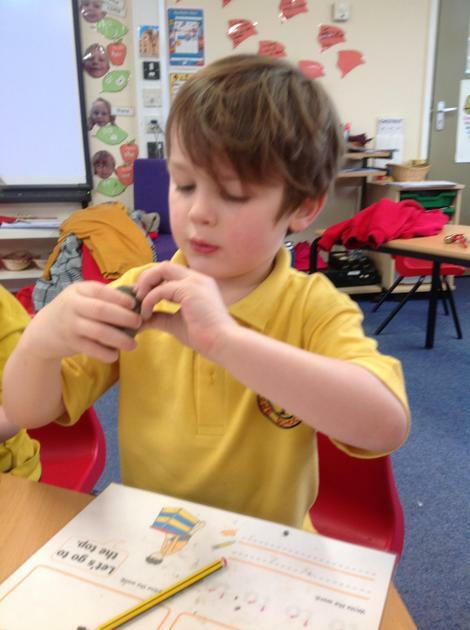 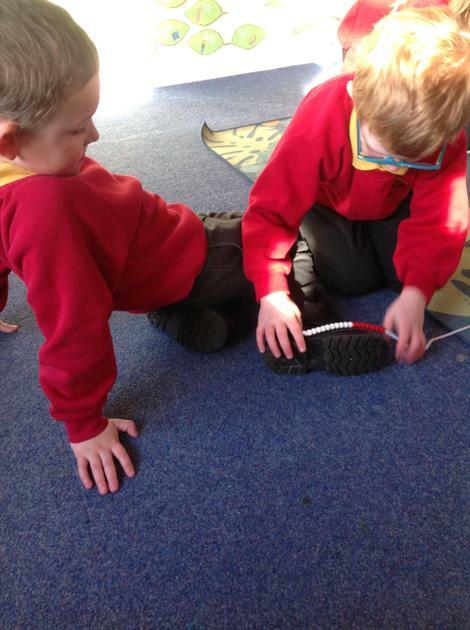 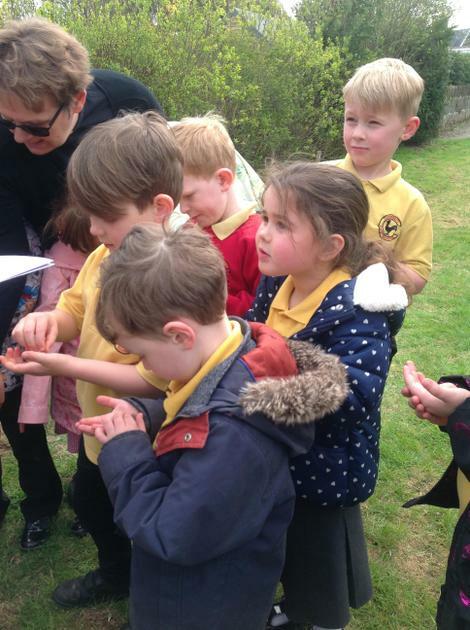 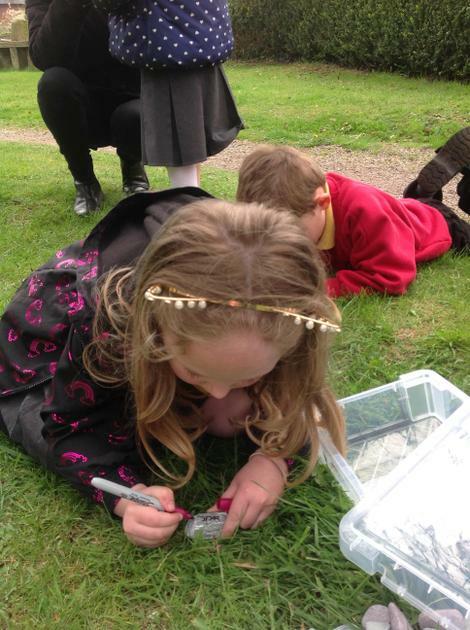 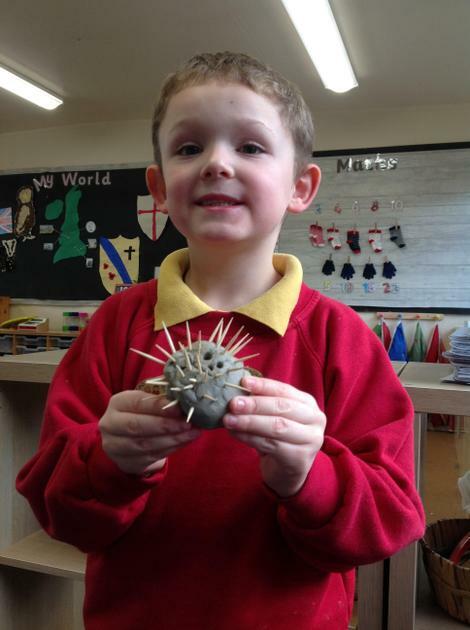 We were very interested to find out why they had so many spikes and why they hibernated. 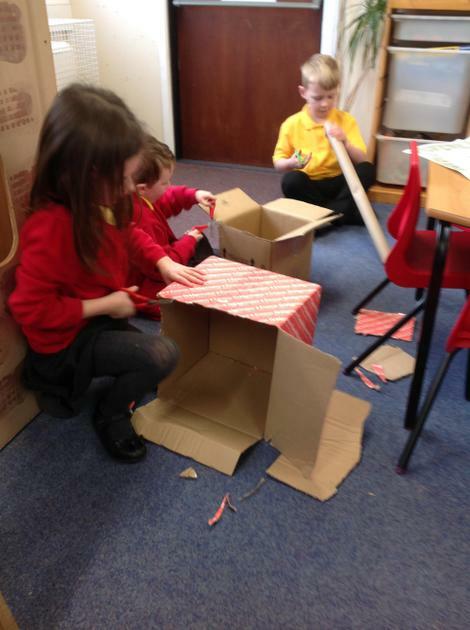 The big build: Castle architects at work! 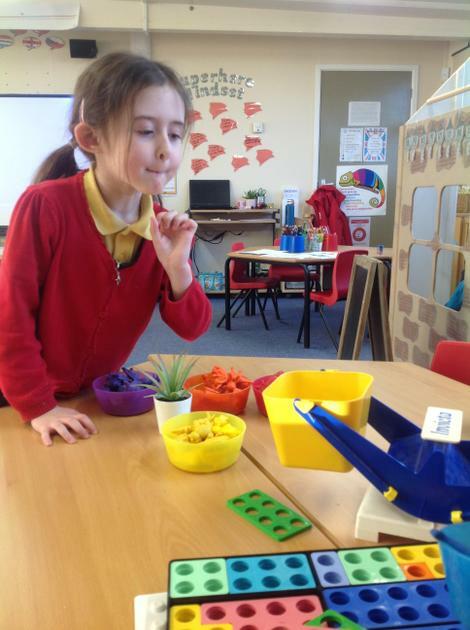 This week, we have been learning to measure using several different pieces of apparatus in preparation for our architectural masterpieces next week. 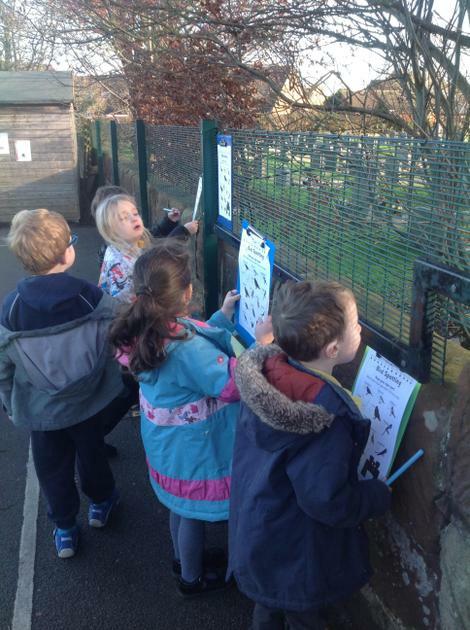 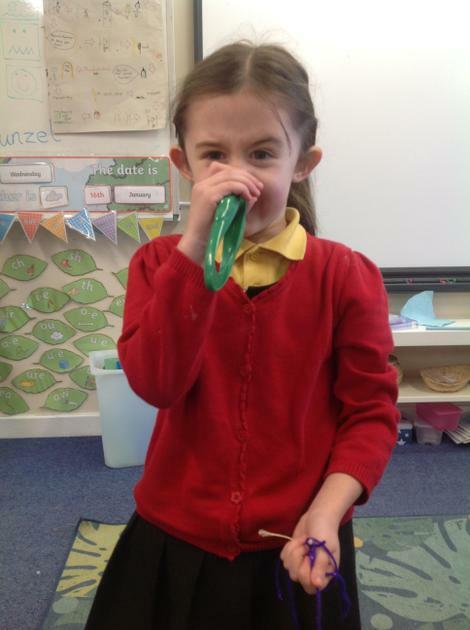 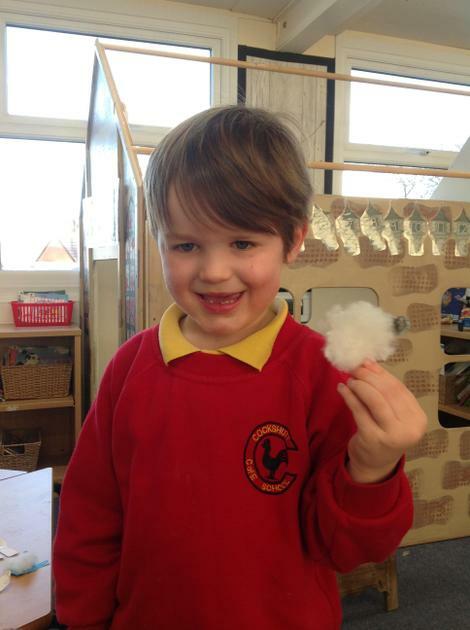 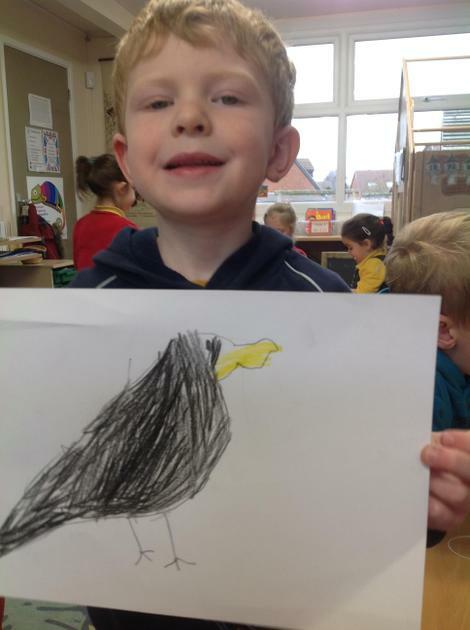 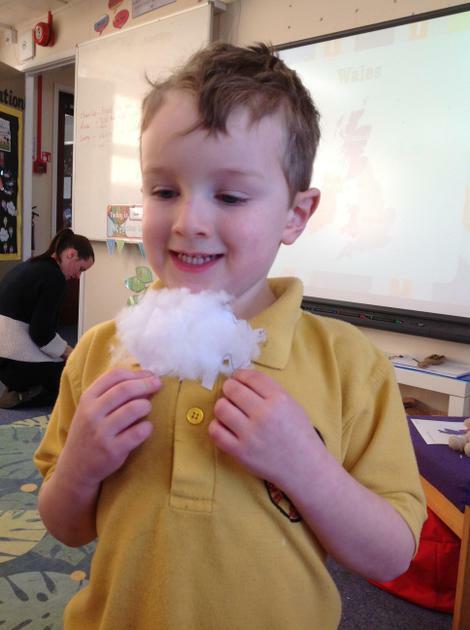 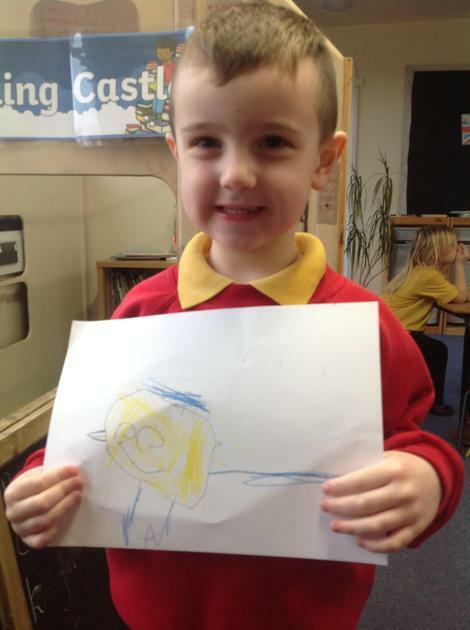 We learnt how to identify several species of British bird this week. 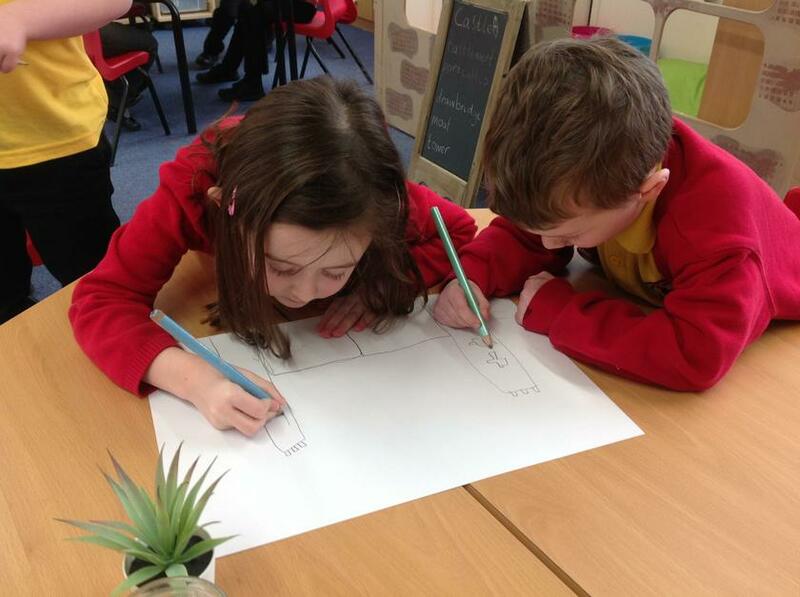 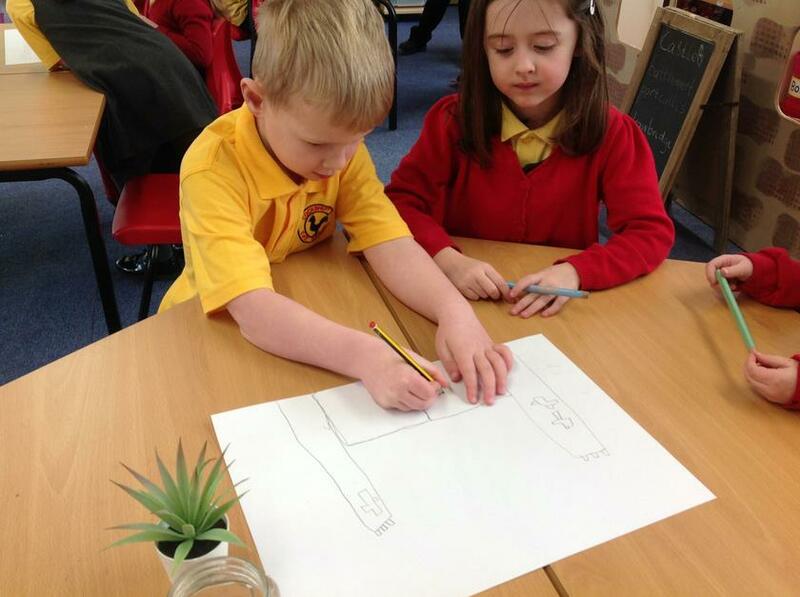 We learnt about their appearance, their diet, and their habitats. 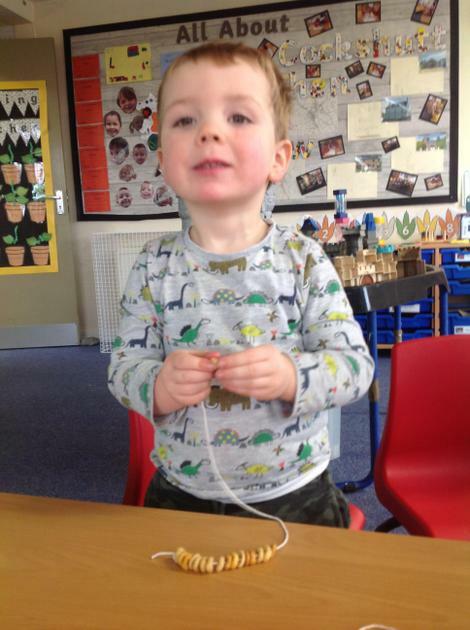 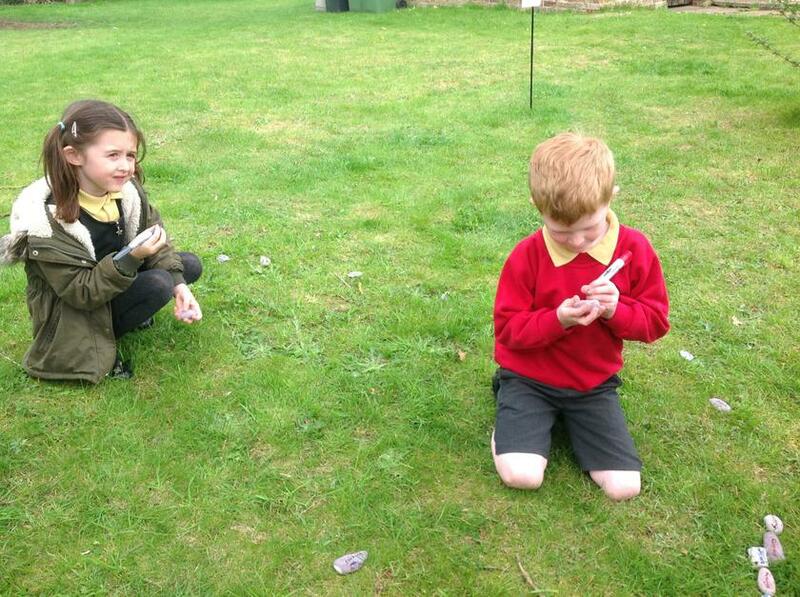 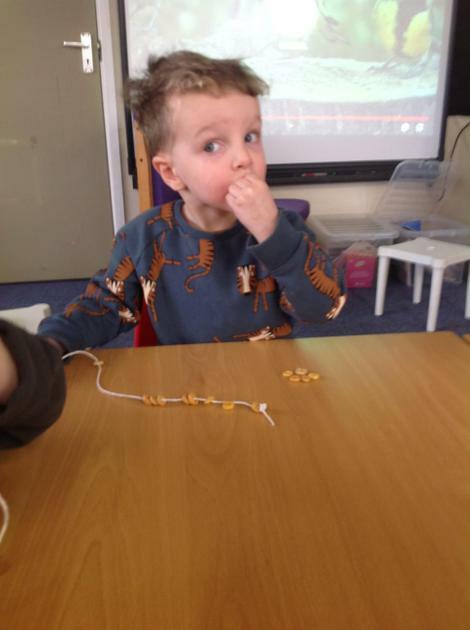 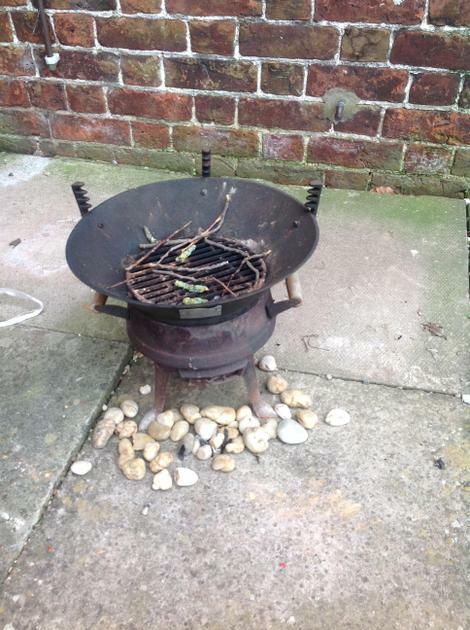 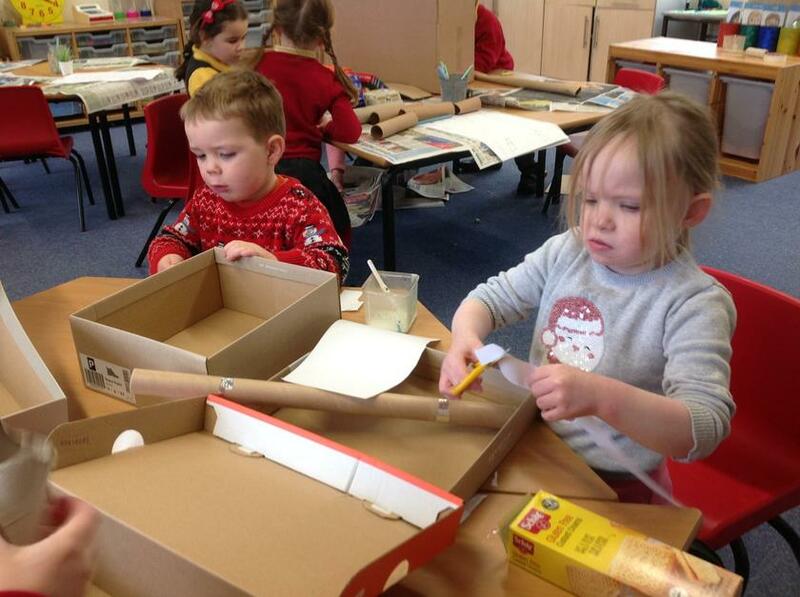 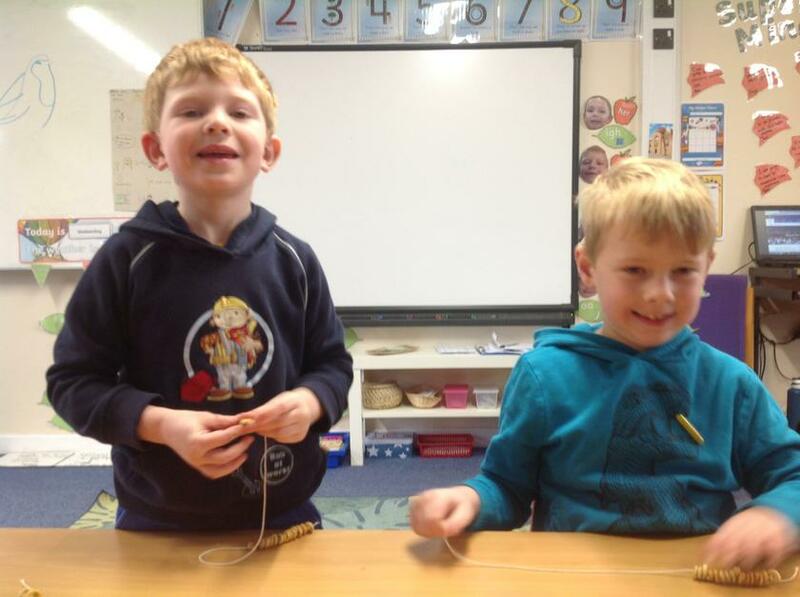 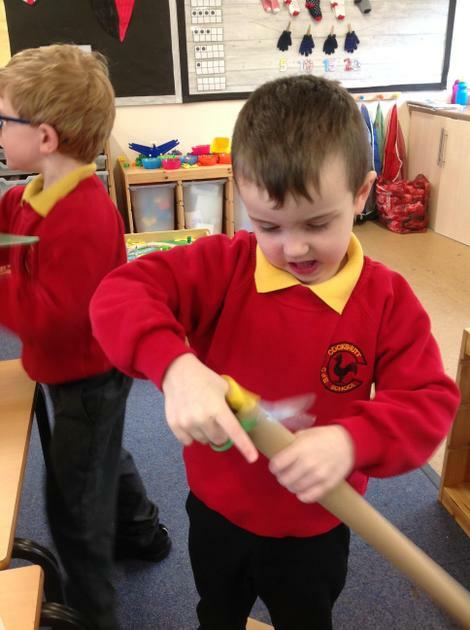 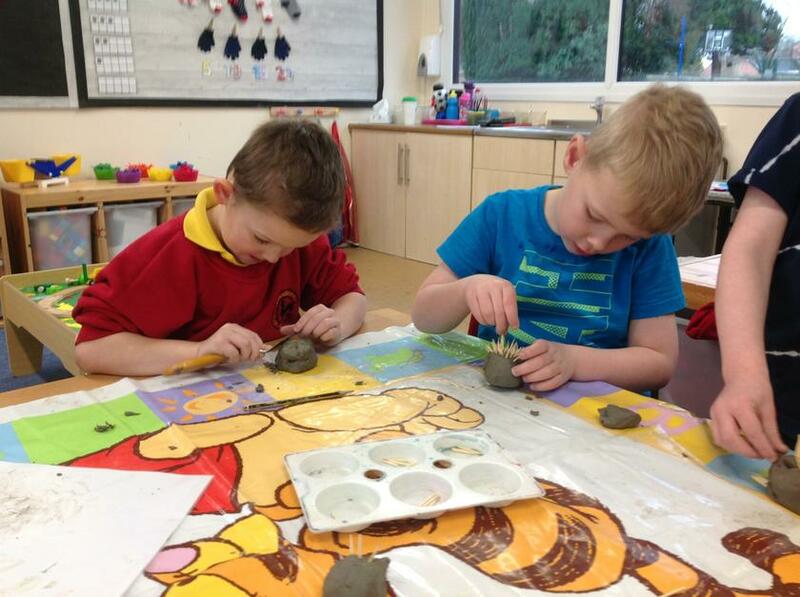 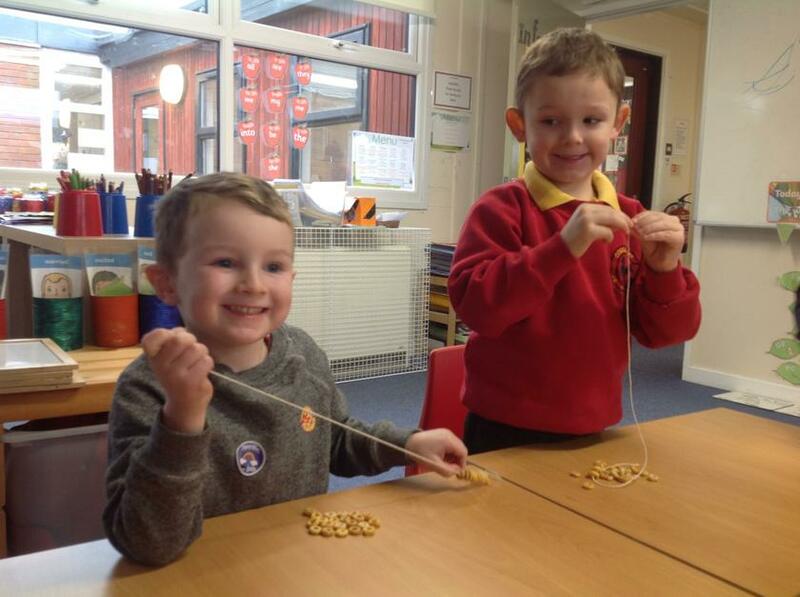 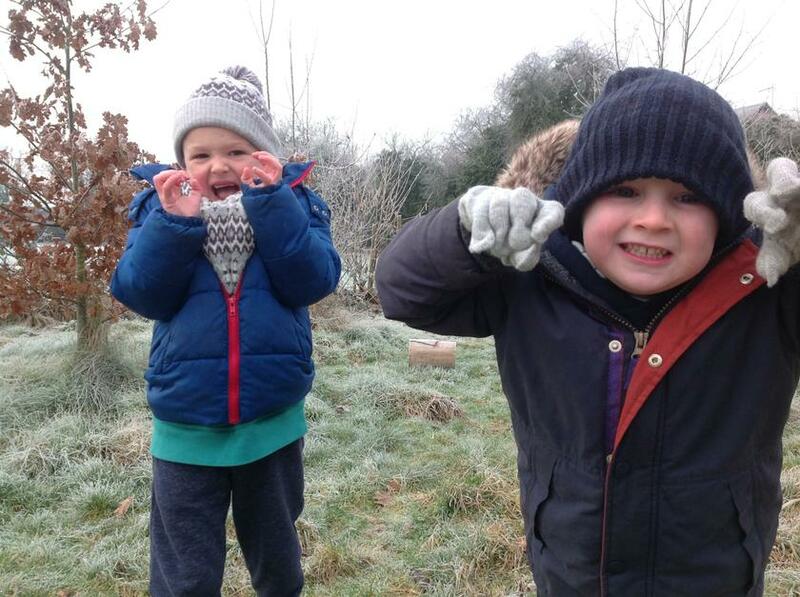 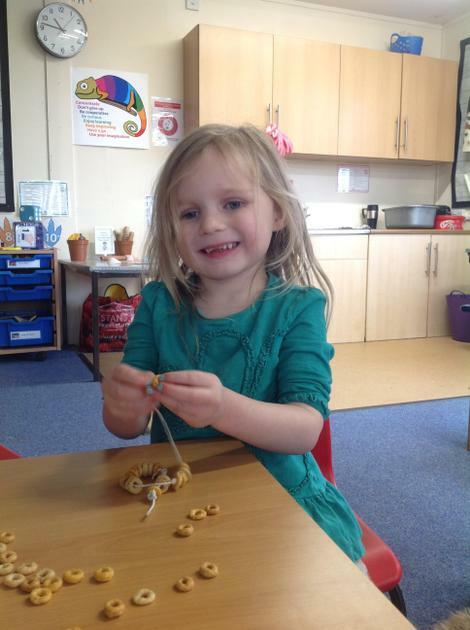 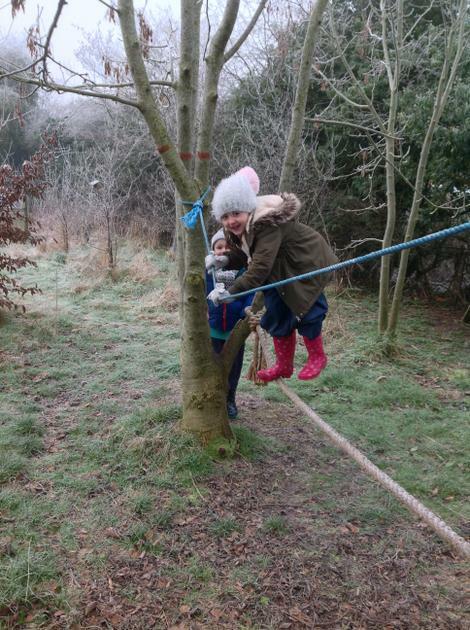 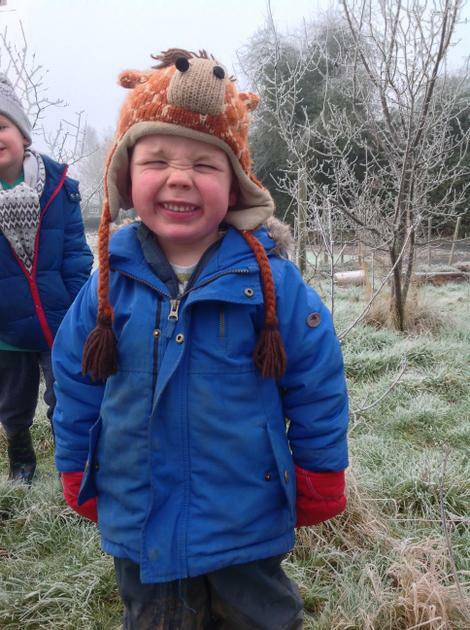 We then made cheerio bird feeders (some of which ended up in some little Chestnut tummies!) 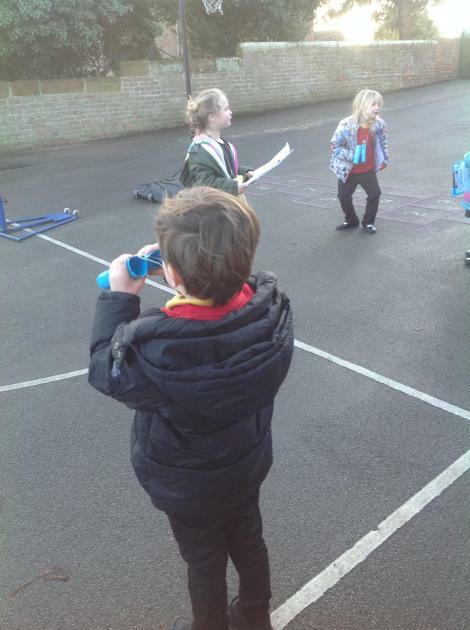 and our own binoculars ready to become twitchers on the playound. 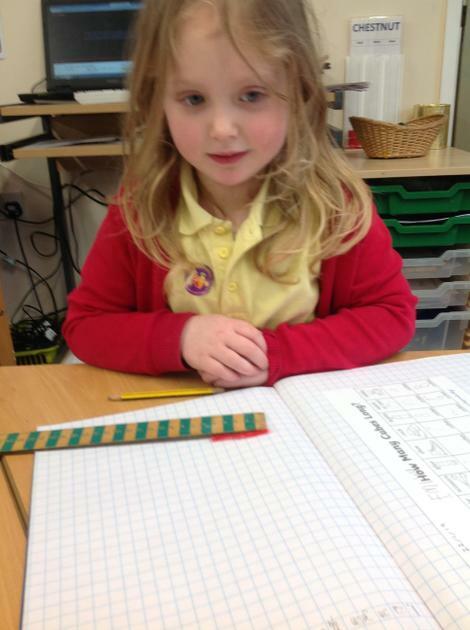 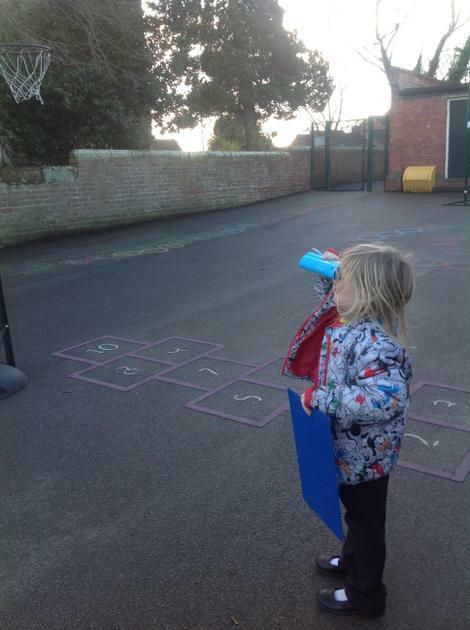 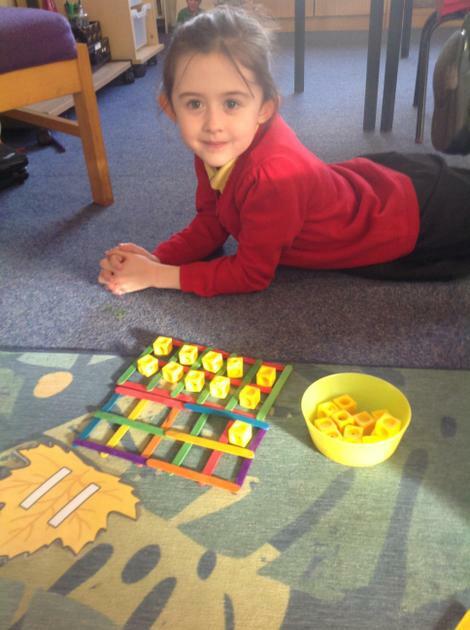 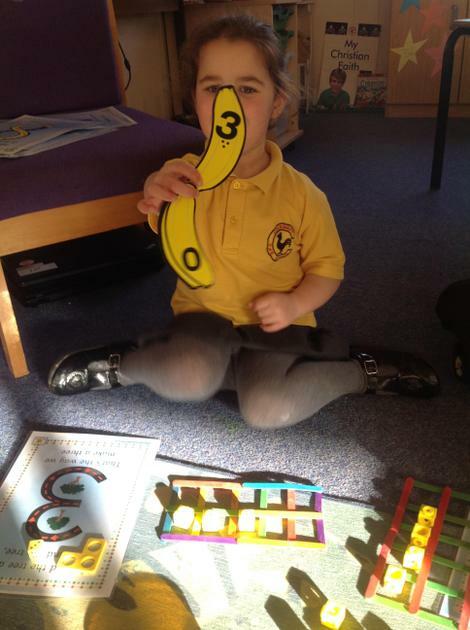 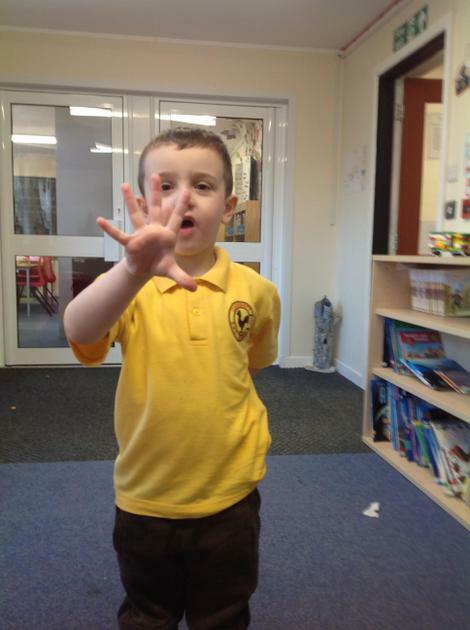 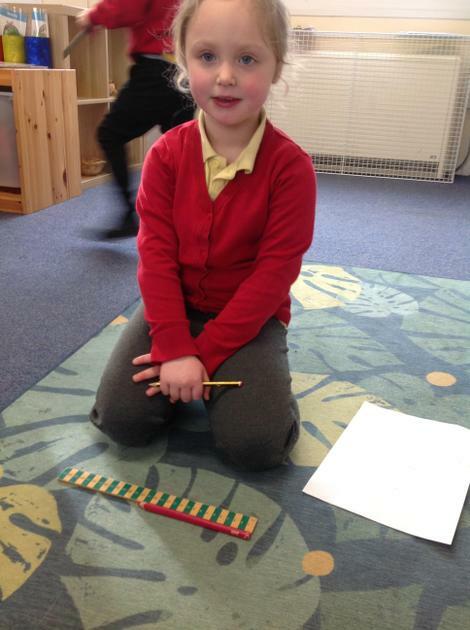 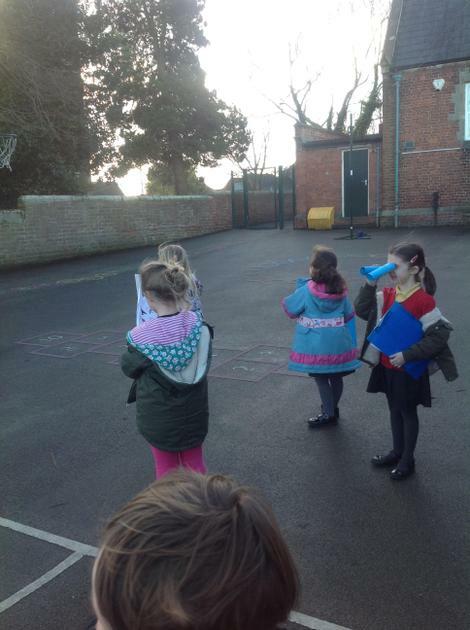 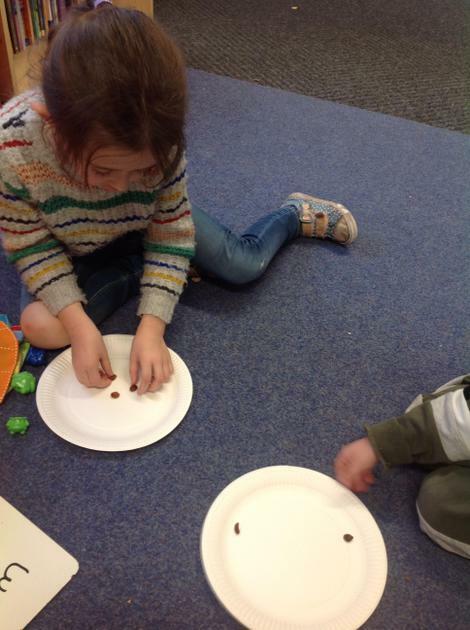 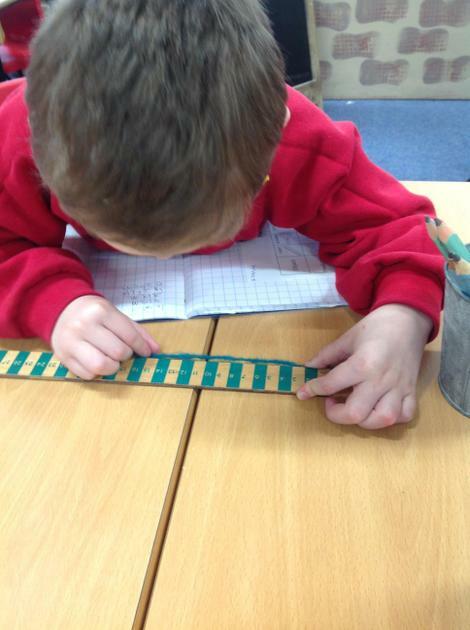 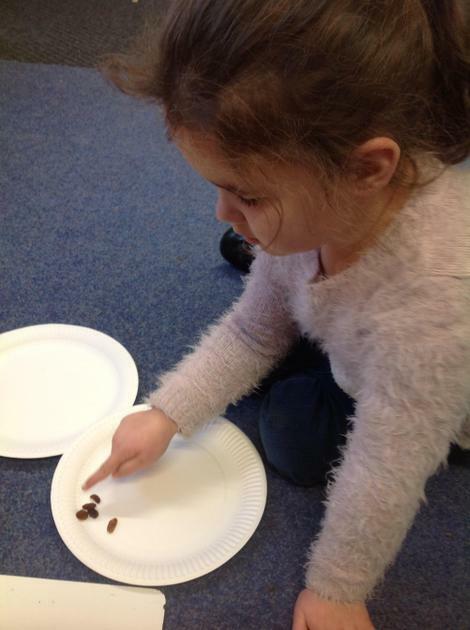 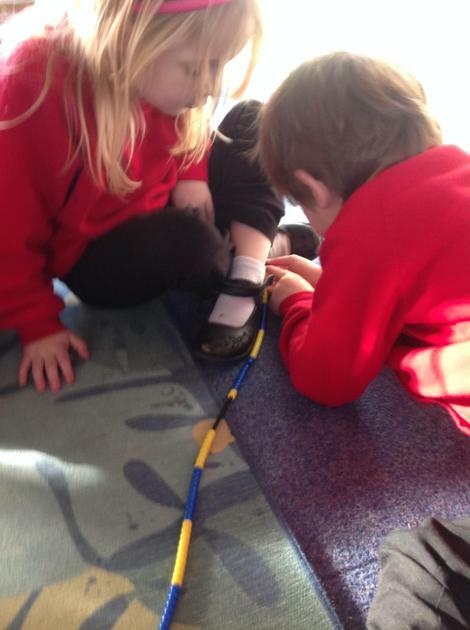 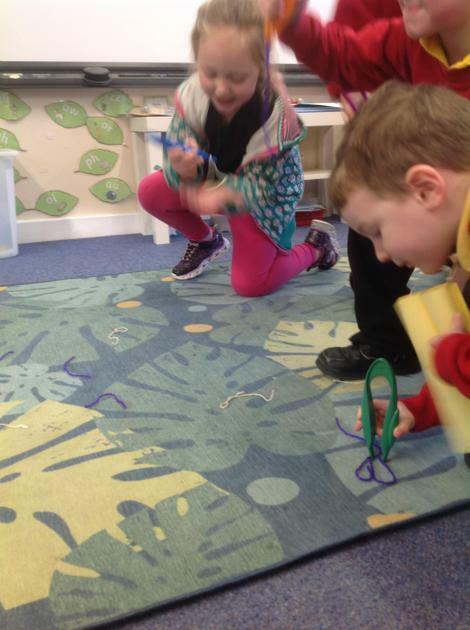 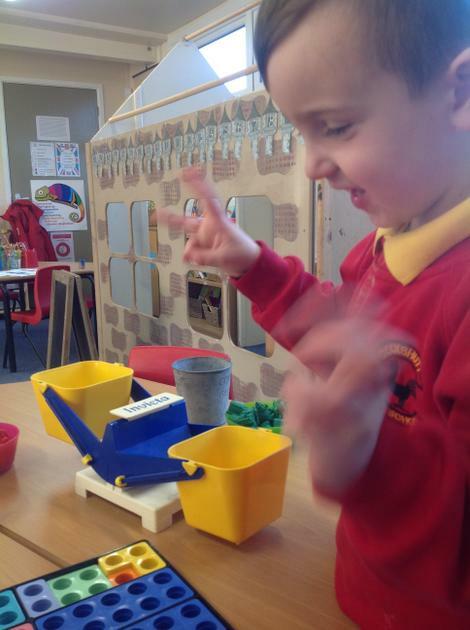 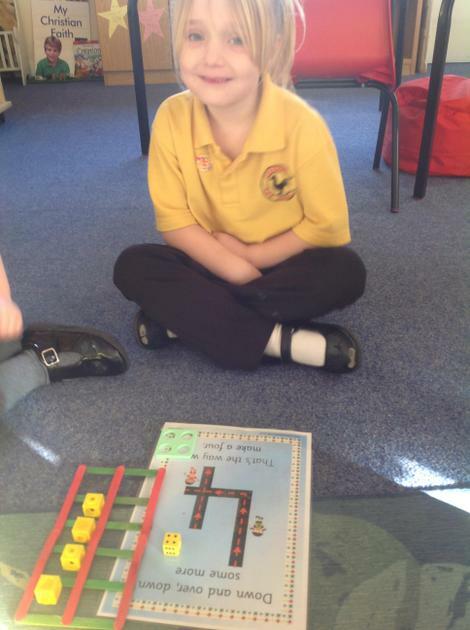 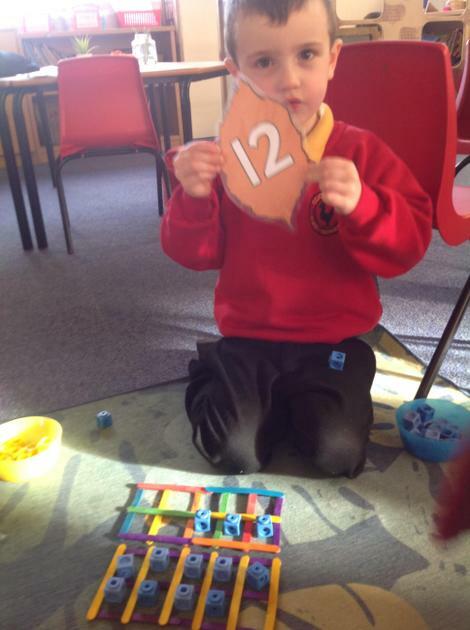 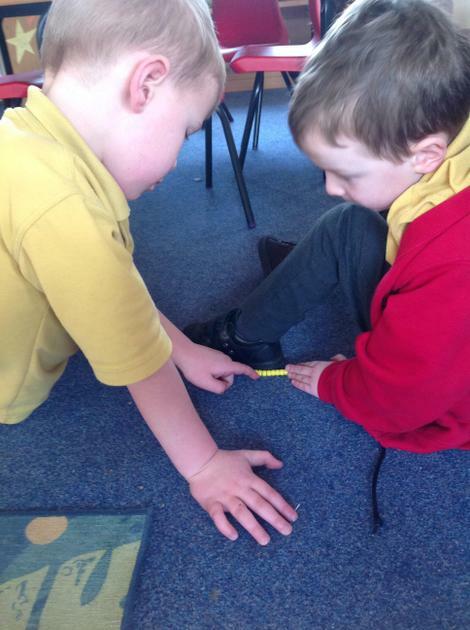 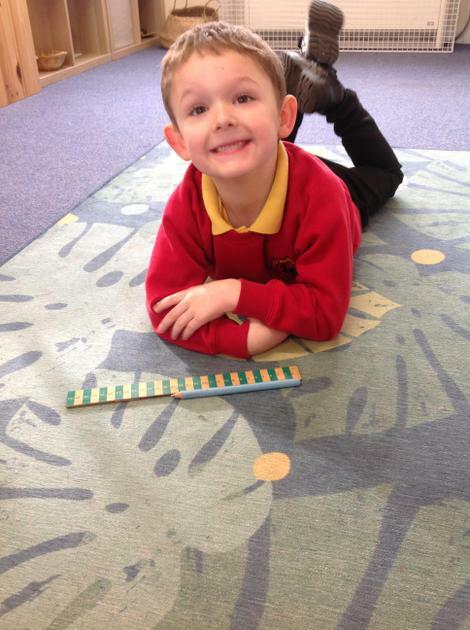 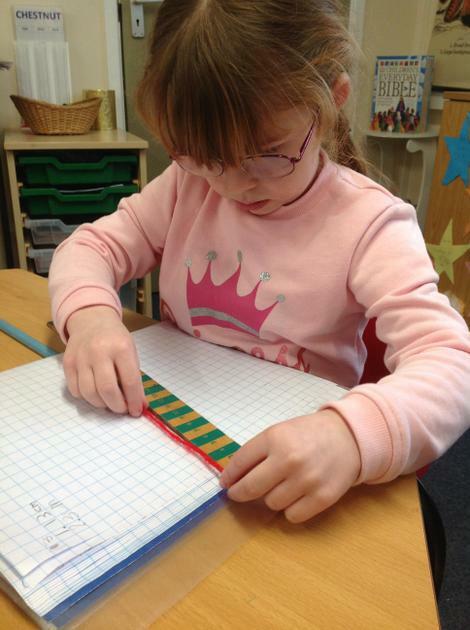 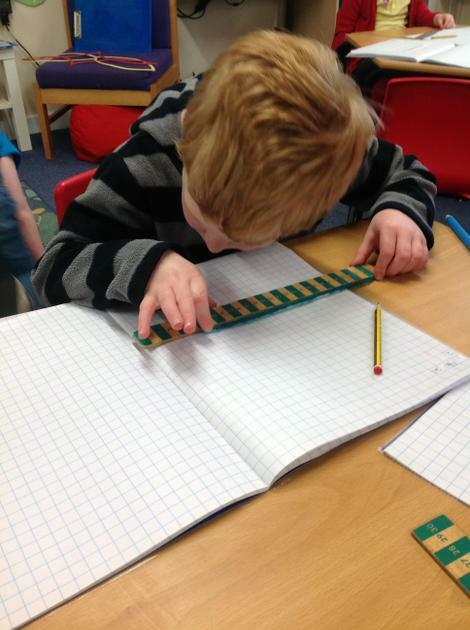 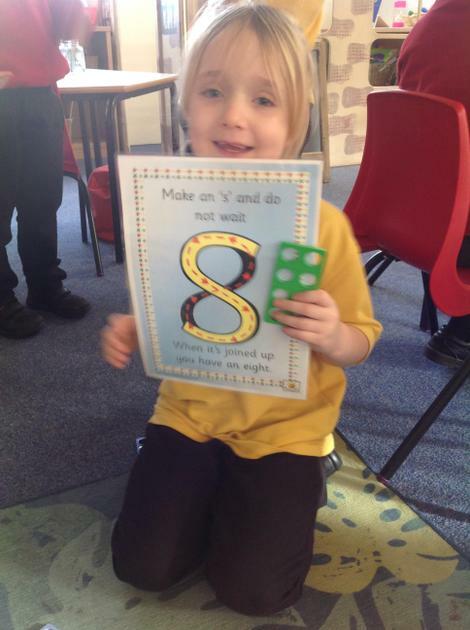 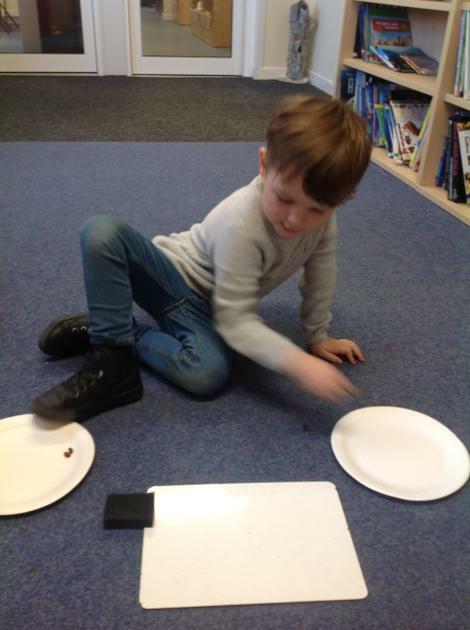 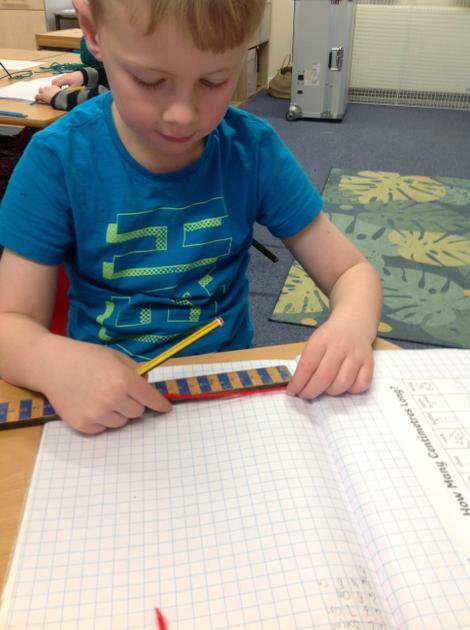 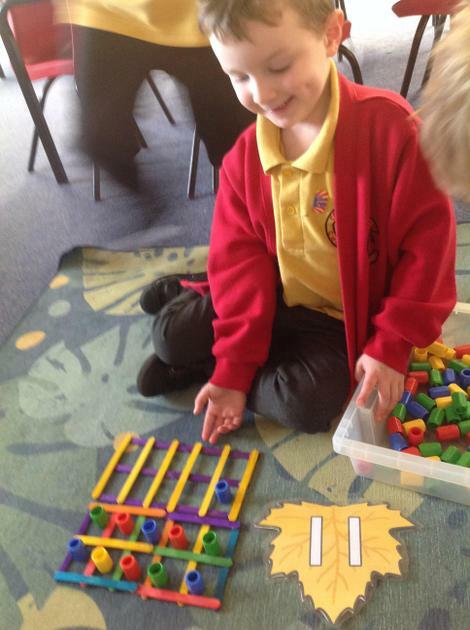 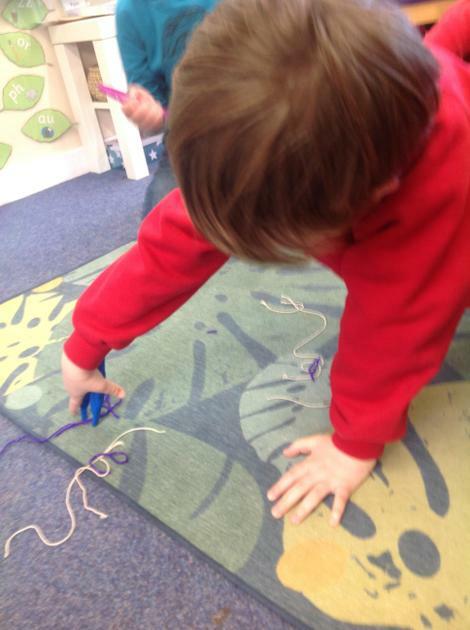 We investigate numbers in countless different ways in Chestnut Class; all of which are fun! 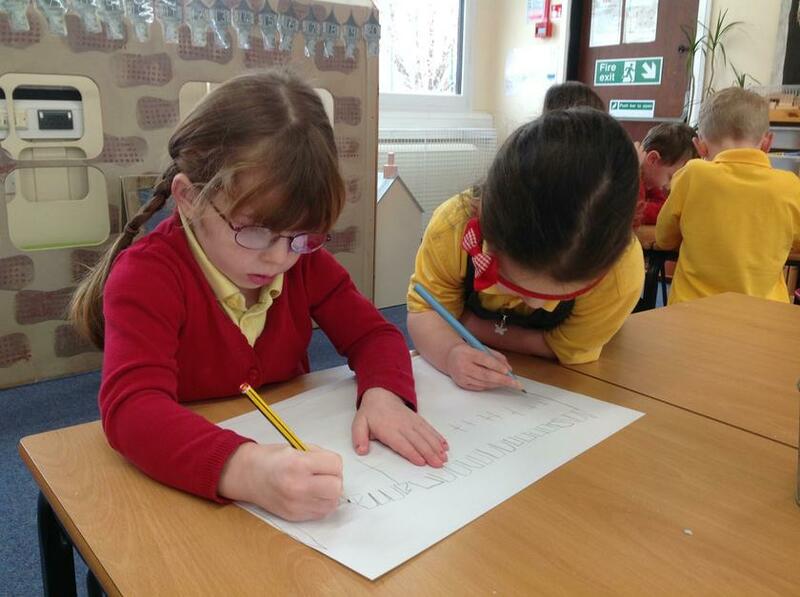 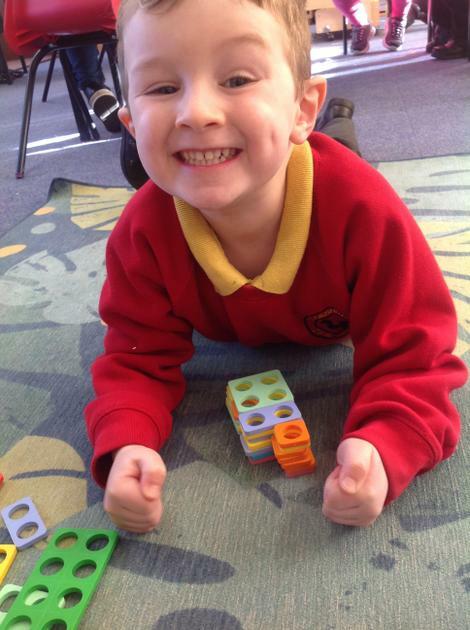 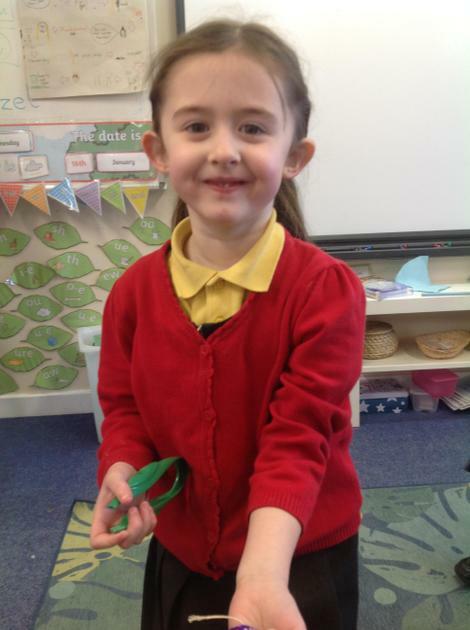 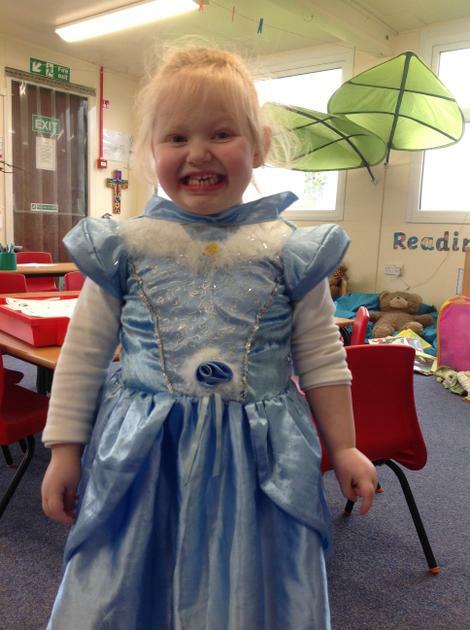 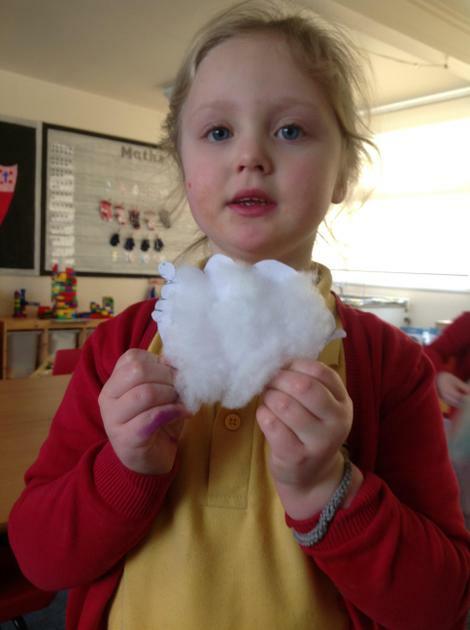 We love learning how to be more kind, thoughtful and helpful. 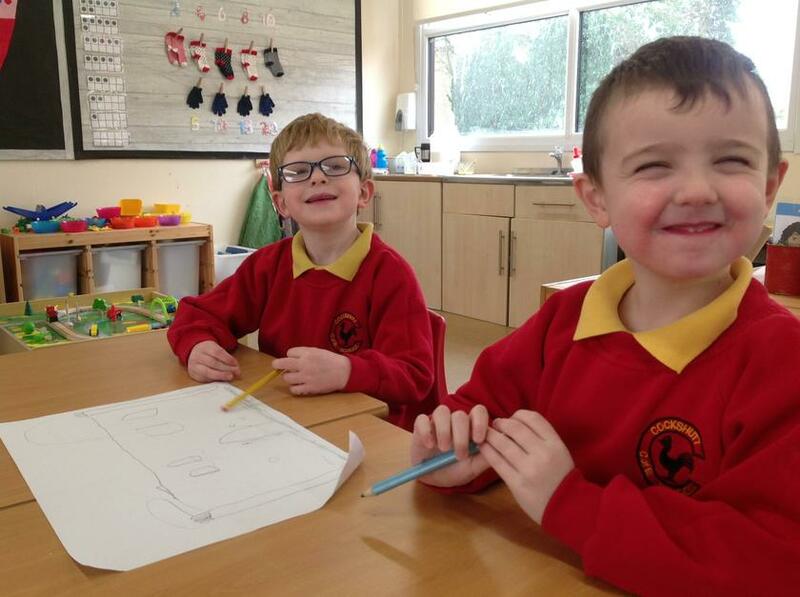 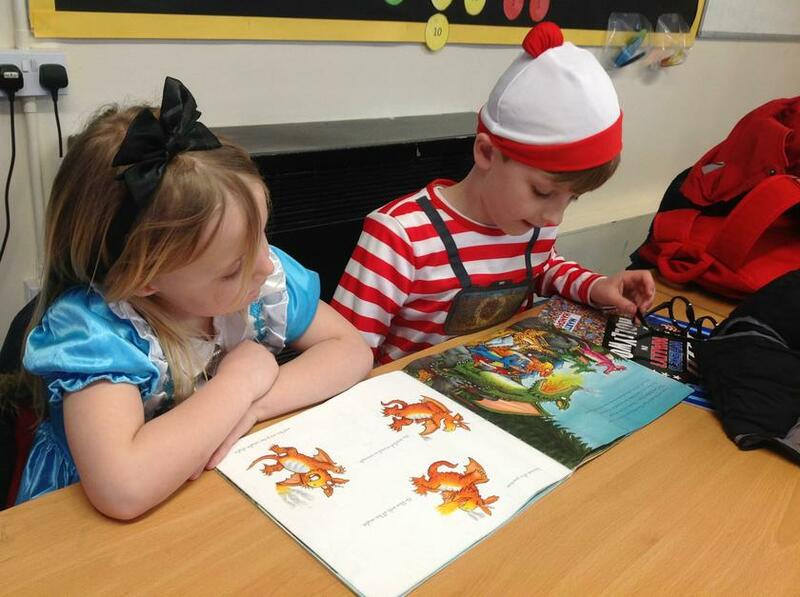 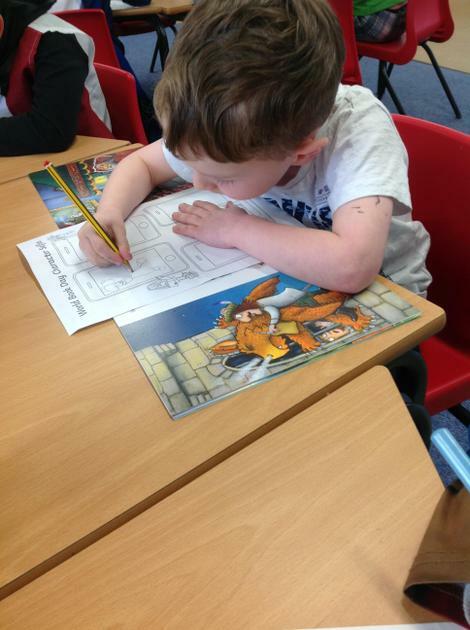 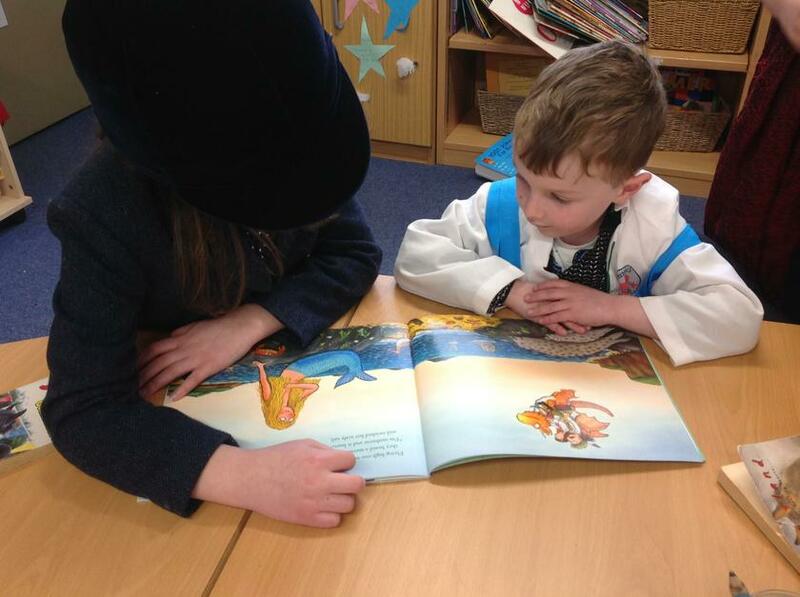 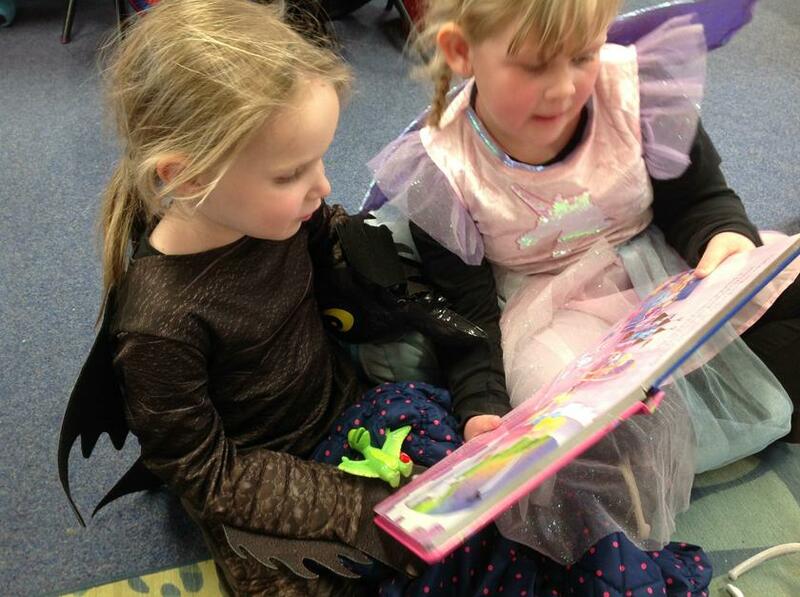 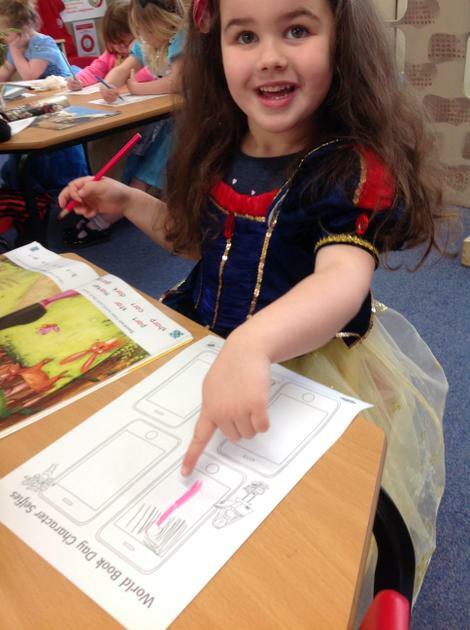 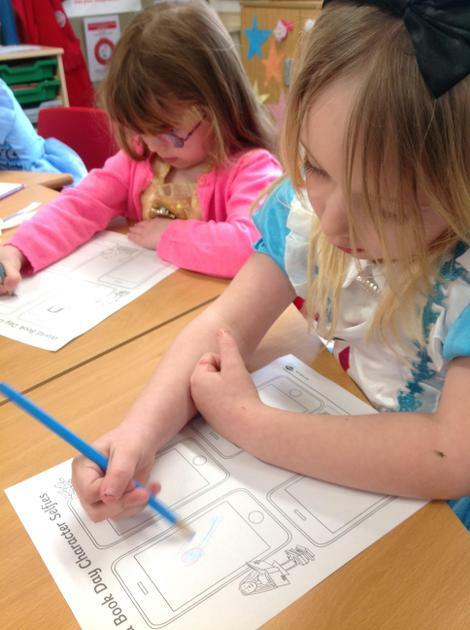 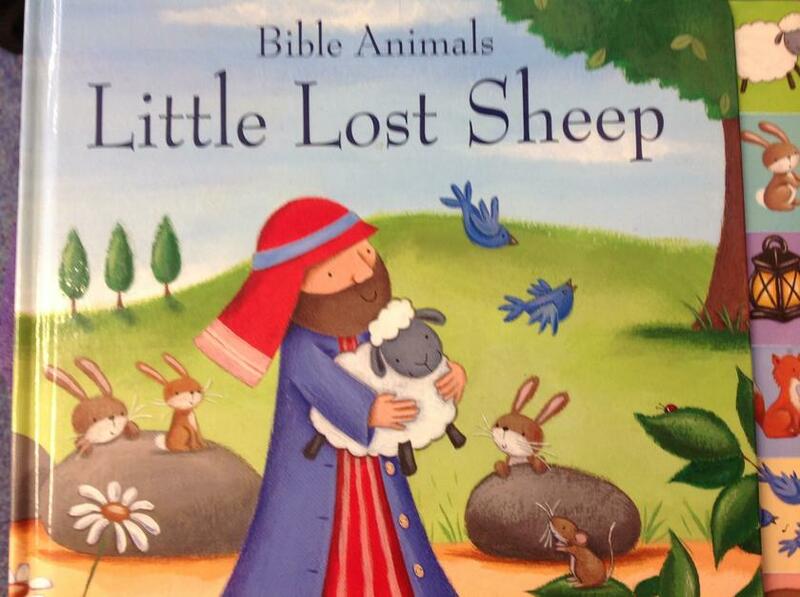 We read stories from the bible to help us understand how and why to develop these skills. 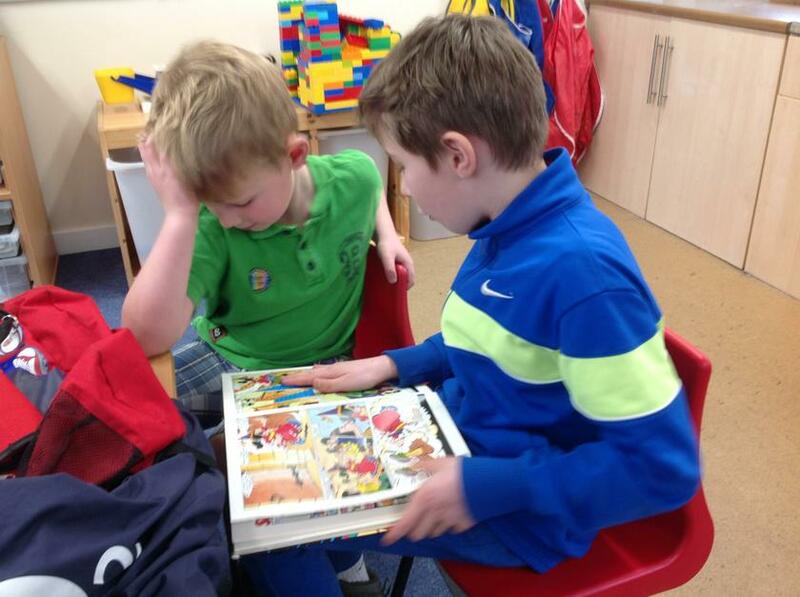 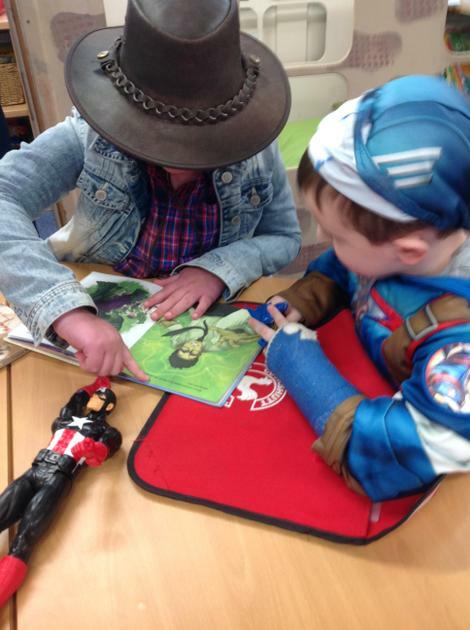 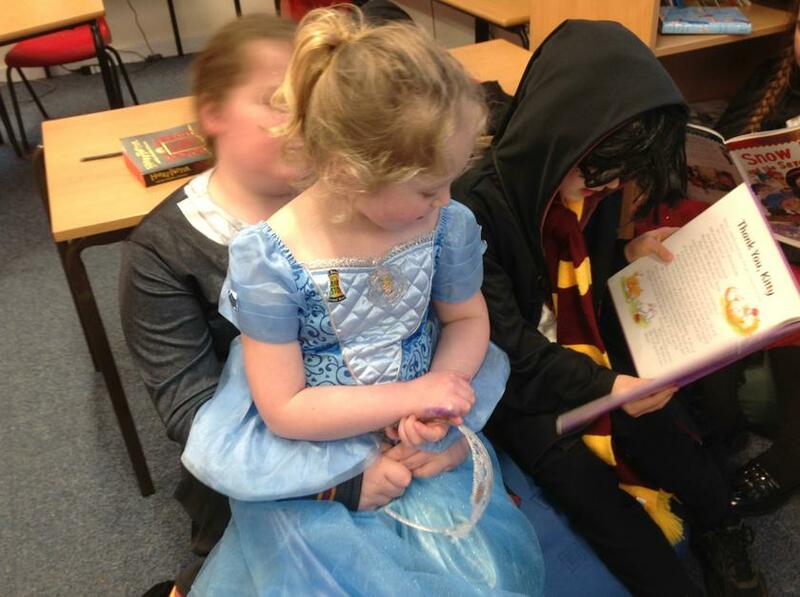 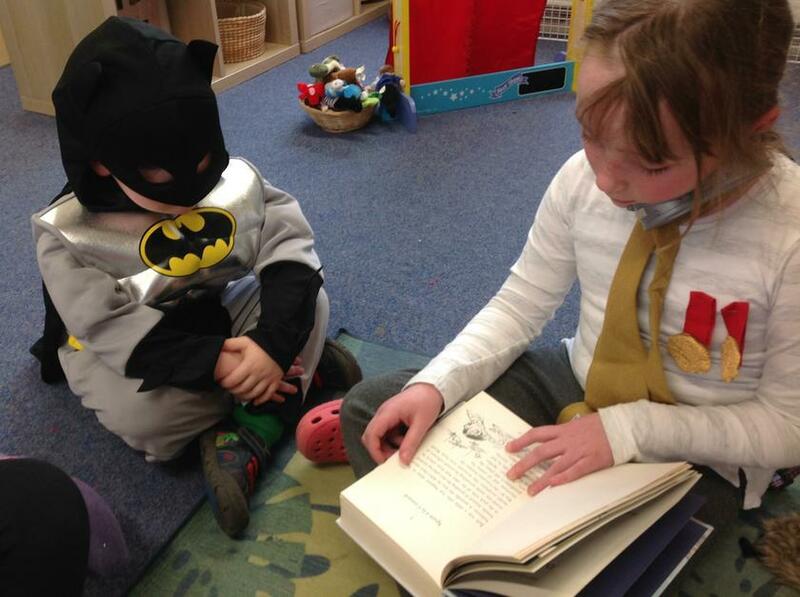 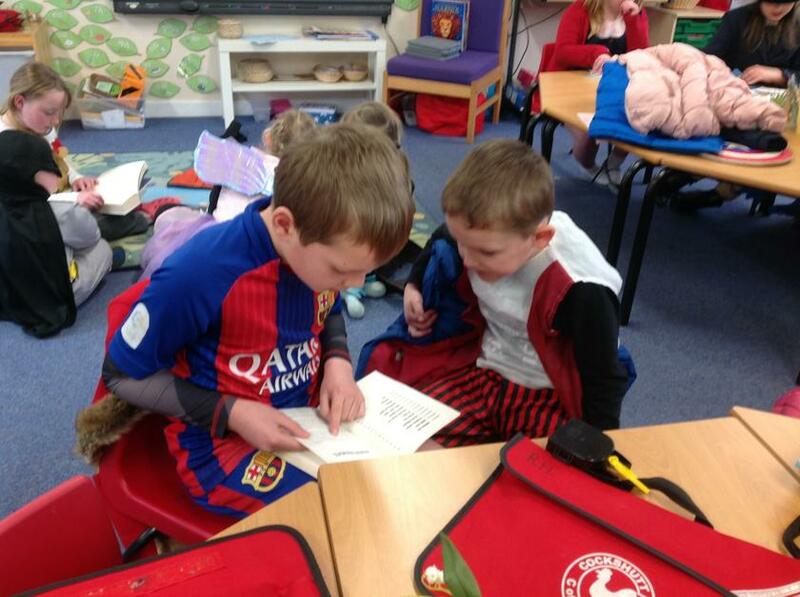 A particular favourite story in our class is "The Good Samaritan".